Dira’, NW of San‘ā’. 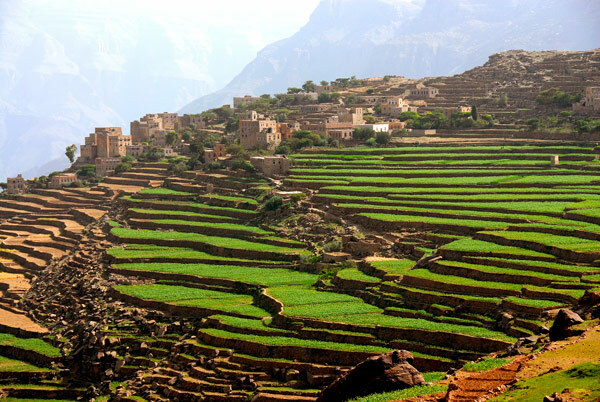 The farmers of Yemen still work one of the oldest terrace-farming systems in the world, dating back to the 3rd millennium BC. Berber sheep near Imilchil, Central Atlas, Morocco. 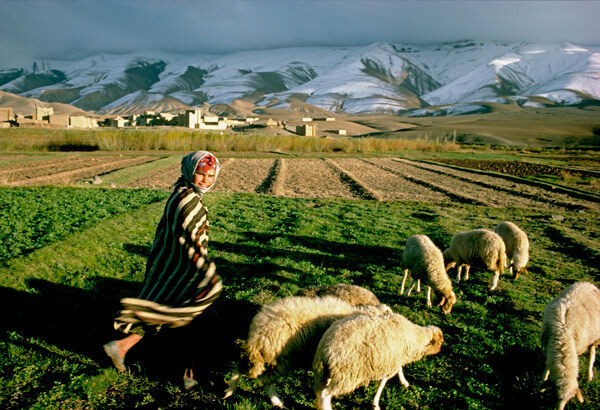 The world-famous Merino sheep, having the finest and softest wool, is thought to have been bred by crossing native Iberian sheep with Berber sheep introduced into Spain by the Ayt Mrin or Marinid Berbers. "Husbandry is the foundation of civilization - all sustenance derives from it, as well as the principal benefits and blessings that civilization brings"
The Arabic words filāḥa, ‘cultivation, tillage’, and by extension ‘agriculture, farming, husbandry’, and fallāḥ, ‘husbandman, tiller of the soil, peasant, farmer’, are derived from the verbal form falaḥa meaning ‘to cleave, split’, and in particular, ‘to plough, till, cultivate the land’. It also means ‘to thrive, prosper, be successful, lucky, or happy’, the two meanings being brought together beautifully by Ibn ‘Abdūn in the quotation above. Moreover, the word is sung out from the minarets of every mosque throughout the Muslim world five times each day during the call to prayer - hayya ‘ala ’l-falāḥ : “Come to success, come to salvation”. Husbandry, well-being (in this world and the next) and worship are thus inextricably linked in the Arabic language. This may come as some surprise. The Arabs, in popular imagination, came out of the desert as nomadic sheep- and camel-herders or breeders of fine horses, pastoralists rather than cultivators, and the Islamic civilization they engendered and spread through half the world is renowned more for its accomplishments in urban architecture and the decorative arts, its learning in philosophy, mathematics, medicine and the sciences, and for its technical inventiveness and mercantile success than for any particular proficiency in agriculture. Yet, three thousand years before Islam, farmers in what is now Yemen were skilfully terracing rain-fed mountain slopes1 and cultivating wadis by means of spate irrigation to create what the ancient Greeks called Eudaimon Arabia, and the Romans Arabia Felix, ‘happy, fortunate, flourishing Arabia’, on account of its abundant fruits and flocks2. Elsewhere, in Eastern Arabia, intensive oasis agriculture based on subterranean falāj irrigation was being developed as early as 1000 BC3. The Arabs already had a long history of farming when with the spread of Islam from the 7th century AD this expertise, especially in matters of water harvesting and irrigation, in conjunction with the local knowledge of farmers in Iraq and Syria, Palestine and Jordan, Persia, Egypt, North Africa, Sicily and Spain (each with their own long traditions of husbandry), produced a remarkable resurgence in agriculture. By the early 9th century most parts of the world under Islamic governance were experiencing an extension of agriculture into lands which had never been cultivated or which had long been abandoned. By means of newly introduced crops, the widespread diffusion of irrigation technology, and the more intensive rotations that these made possible, there were marked improvements in the productivity of agricultural land and labour4. Over the next five to seven hundred years, with variations from place to place, agriculture thrived. In The Mind of the Middle Ages. the historian of ideas Frederick B. Artz writes: “The great Islamic cities of the Near East, North Africa and Spain … were supported by an elaborate agricultural system that included extensive irrigation and an expert knowledge of the most advanced agricultural methods in the world. 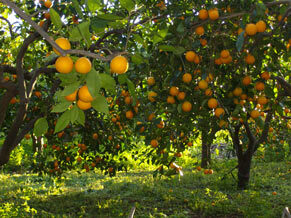 The Muslims reared the finest horses and sheep and cultivated the best orchards and vegetable gardens. They knew how to fight insect pests, how to use fertilizers, and they were experts at grafting trees and crossing plants to produce new varieties”5. And Thomas Glick, writing of Muslim Spain, says: “Fields that had been yielding one crop yearly at most prior to the Muslims were now capable of yielding three or more crops in rotation … Agricultural production responded to the demands of an increasingly sophisticated and cosmopolitan urban population by providing the towns and cities with a variety of products unknown in Northern Europe”6. The flourishing, cultivated, predominantly urban civilization of classical Islam was only made possible, and was largely dependent upon, an equally sophisticated and fertile revolution in the countryside. Tarocco blood oranges growing on the slopes of Mt. Etna near Misterbianco, Catania, Sicily. Although the lemon, lime, shaddock and sour orange were probably introduced into Sicily by the Arabs in the 10th century, it seems that the sweet orange did not appear until the early 16th century, probably brought by the Portuguese from India. 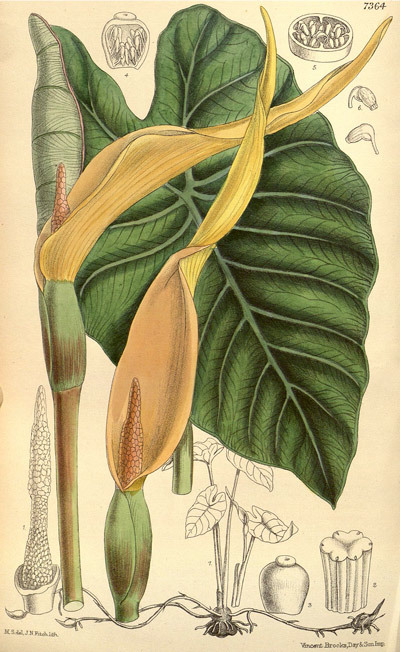 Foremost was the introduction, acclimatization and further diffusion of new food crops, mainly fruit-trees, grains and vegetables, but also plants used for fibres, condiments, beverages, medicines, narcotics, poisons, dyes, perfumes, cosmetics, timber and fodder, as well as garden flowers and ornamental plants. The most important of these new crops were sorghum, Asiatic rice, hard wheat, sugar cane, Old World cotton and some citrus fruits, as well as such exotics as the banana and plantain, coconut, watermelon, mango, spinach, colocasia, globe artichoke and aubergine. The influx of new crops and plants, many of which came from India, South-East Asia and Central Africa, was only made possible by the unprecedented unification of a large part of the Old World under Islam, which facilitated long-distance travel by merchants, diplomats, scholars and pilgrims, and unleashed the free movement of peoples from very different climates and agricultural traditions - Indians, Malays, Persians, Yemenis, Africans, Berbers and Syrians, among others. This human flow and cultural exchange facilitated not only the diffusion of crops and plants but the know-how to grow them. At the same time, a fertile intellectual climate of scientific enquiry and experimentation among botanists and agronomists, and the propensity of traditional husbandmen everywhere to select for local conditions, produced a profusion of cultivars of the old and new crops (as well as new breeds of livestock). For example, in the 9th century Al-Jāḥiẓ stated that 360 kinds of dates were to be found in the market of Basra; in the early 10th century Ibn Rusta reported 78 kinds of grapes in the vicinity of Sana‘ā’ in Yemen; Al-Anṣārī, writing of a small town on the North African coast about 1400, said that the environs produced 65 kinds of grapes, 36 kinds of pears, 28 kinds of figs and 16 kinds of apricots; and in the 15th century Al-Badrī wrote that in the region of Damascus 21 varieties of apricots, 50 varieties of raisins and 6 kinds of roses were to be found10. For the Yemen, Varisco records at least 88 named varieties of sorghum, the staple crop, documented in literary sources or used today in the field11. The range of crops and plants grown (and eaten) was unparalleled. 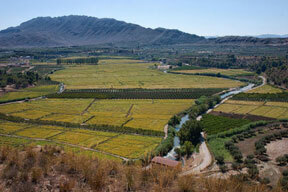 The newly introduced crops induced significant changes in cultural methods. Because many of them originated in hot, moist tropical and sub-tropical climates, in their new environment they needed the heat of summer, traditionally a ‘dead’ season in Middle Eastern and Mediterranean agriculture which had hitherto been more or less restricted to crops that could be grown in the cooler but wetter winter months. Many of the new crops had to be irrigated but the bonus of a new summer growing season led to the widespread adoption of systems of crop rotation and multiple cropping that allowed two, three and even four crops a year to be taken from the same piece of land, summer and winter, where before in the Roman, Byzantine and Judaic agricultural traditions there had been at best one crop a year, and most commonly one every two years12. Such intensive cropping regimes would inevitably deplete the soil of its natural fertility if not replenished, so the new farming redressed the balance with copious (though carefully controlled) applications of all kinds of organic manures, natural fertilizers, composts, mulches and minerals, incidentally bringing about a closer integration between cultivation and the rearing of livestock. 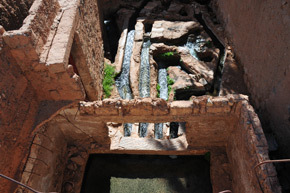 A water divisor in Figuig, Morocco. Water harvested by means of an underground foggara emerges at the surface and is here divided among the irrigators according to a strict timetable on a rotational basis. While not all the new agriculture was dependent on artificial irrigation, many of the new crops - especially sugar cane and rice, and to a lesser degree cotton and some of the tropical and sub-tropical fruits - were water-hungry crops. The development of sophisticated systems for harvesting, storing and distributing water was a hallmark of the new agriculture, driven by the expertise of Arab irrigators drawing on their long experience of oasis cultivation. Certainly irrigation had been practised since antiquity in all the newly Islamic lands, but many of these systems were in terminal decline. Although few really innovative hydraulic technologies were invented at this time, the revival and expansion of irrigation through the widespread adoption and improvement of well-known devices and structures including water-lifting machines, qanāts, diversion dams, distribution networks, siphons and storage reservoirs, married to new Islamic institutions and legal frameworks for the equitable distribution and management of water, and the undoubted skill of the irrigators themselves, transformed the agricultural landscape. The diffusion of new crops and cultivars, the adoption of new multiple-cropping and rotation regimes, the abundant use of manures, and the refinement and expansion of irrigation were supported, crucially, by changes in land tenure and taxation that accorded farmers more liberty and a greater incentive to improve their land, all underpinned by Islamic precepts and customary laws by which farming was conducted more fairly and more effectively. For the first time in many places, any individual - man or woman - had the right to own, buy, sell, mortgage and inherit land, and most importantly, farm it as he or she liked. Relatively low rates of taxation, where they existed at all, were paid as a fixed proportion of output, freeing farmers from uncertain and capricious tax hikes, in contrast to the oppressive rural taxation prevailing in the late Roman, Sassanian and Byzantine empires. Large estates, which had everywhere come to dominate and often monopolize agriculture, were often broken down into smaller ownerships, or at least had to compete with smaller farms and individual peasant smallholdings. The lands around cities were almost everywhere given over to small market gardens and orchards. Serfdom and slavery were virtually absent from the countryside in the early Islamic world - instead, “the legal and actual condition of the overwhelming majority of those who worked on the land was one of freedom”13. These are the salient features of the new agricultural system which has been called Moorish agriculture in relation to Spain but which is more properly and inclusively termed Islamic agriculture, for it was not confined to Moorish Andalusia, and although its origins lay in the intensive, irrigated, multi-storey, mixed-crop farming of the ancient Arabian oases and wadis, it was not exclusively Arab either, but developed in association with the traditional knowledge and skills of farmers right across the new Muslim world under the impetus and aegis of Islam. 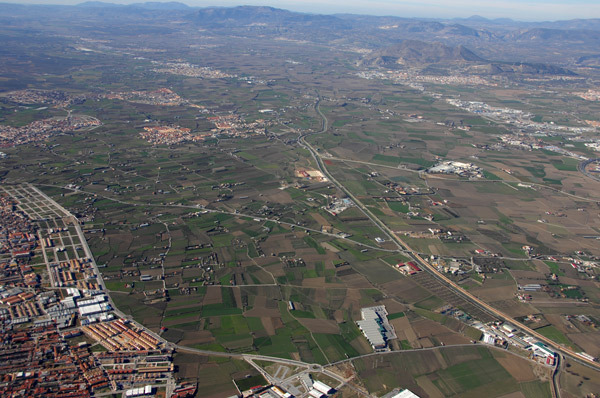 Andalusian agro-ecosystem, Malaga province. Ploughed wheat fields and olive groves. 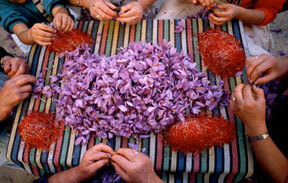 Saffron stigmas being separated from the flowers. La Mancha, Spain. The Moors reintroduced the saffron crocus into Spain and cultivated it throughout the southern provinces of Andalucia, Castile, La Mancha, and Valencia. 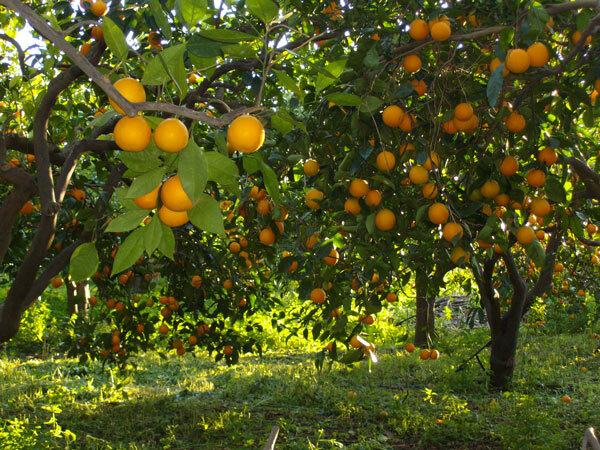 Tree crops included olives, vines, almonds, carobs, figs, peaches, apricots, apples, pears, medlars, quinces, chestnuts, walnuts, pistachios, hazelnuts, hawthorns, date palms, lemons, citrons, sour oranges, jujubes, nettle trees and mulberry trees, as well as holm-oaks, arbutus and myrtles. Kitchen gardens grew lettuces, carrots, radishes, cabbages, cauliflowers, melons, cucumbers, spinach, leeks, onions, aubergines, kidney beans, cardoons, artichokes, purslane and numerous aromatic plants such as basil, cress, caraway, saffron, cumin, capers, mustard, marjoram, fennel, melissa, lemon verbena and thyme. Fields of cereals and pulses were sown with wheat, barley, rice, millet and spelt among the former, and broad beans, kidney beans, peas, chickpeas, lentils, vetch, lupine and fenugreek among the latter; sugar-cane was grown on the coast of Almuñécar and Vélez-Málaga; fibre plants included flax, Asian cotton and hemp; dye plants included safflower, madder, henna, woad and saffron, and sumac was grown for tanning; wild species such as esparto, osier and oil-palm were harvested; numerous ornamental species were planted in gardens and an enormous number of medicinal herbs were also employed16. It was here too in Al-Andalus that an important development in Islamic agriculture took root and flourished in the form of an Arabic literary genre - the Books of Filāḥa - which attempted to synthesize the accumulated knowledge and theories of the past with practical husbandry on the ground, thereby systematizing a new science of agriculture. The Books of Filāḥa are scattered in hundreds of manuscripts, many of a miscellaneous character and frequently mis-catalogued, in dozens of libraries across the world, and it is only relatively recently that these texts and their authors have been established with reasonable certainty. Nevertheless many questions remain and there is still much work to be done on the corpus of Arabic agricultural literature in general. Beehives in olive grove, Rif mountains, Chefchaouen, Morocco. Between the 10th and 14th centuries, and especially during the period of the independent Tā’ifa kingdoms in the second half of the 11th century, at least ten Books of Filāḥa were written by Andalusi agronomists: the Anonymous Andalusi, Al-Zahrāwī, Ibn Wāfid, Ibn Baṣṣāl, Ibn Ḥajjāj, Abū ’l-Khayr, Al-Ṭighnarī, Ibn al-‘Awwām, Ibn al-Raqqām and Ibn Luyūn. These authors were all too aware of being the inheritors and transmitters of a long tradition of agricultural knowledge whose literature reached back to the Byzantines, Romans, Carthaginians, Greeks and Chaldeans and they cited these earlier works meticulously and copiously. However, the Arabic Books of Filāḥa are not mere compilations of ancient knowledge and theories, for many of their writers were practitioners working in the field, and avid experimentalists too. They challenged and tested the inherited wisdom, and compared it to their own experience and observations in the orchards, gardens and estates of their native Andalusia. Their books are, for the most part, at once theoretical discourse, scientific treatise, and practical manual, and although they are often referred to as agronomical works (that is, concerned with the science of agriculture) and their authors described as agronomists, these labels are somewhat misleading. The subject matter of the Books of Filāḥa is extensive and inclusive, concerned not only with agriculture and the cultivation of field crops such as wheat, barley, the pulses, cotton, flax, olives, vines and so on, but also with the growing of all manner of fruits, vegetables, herbs, garden flowers and shrubs (what we would term horticulture today), as well as trees for ornament, timber and shade (modern arboriculture), and, in many cases, bee-keeping, animal husbandry and veterinary medicine. They often address the post-harvest storage and processing of crops, the production of perfumes by distillation, and matters of domestic economy such as bread making and the preparation of dried fruits, oils, vinegars and syrups. Sometimes they detail the medicinal and dietary properties of plants, in the manner of herbals, as well. They are therefore far more than books of agronomy, or even of agriculture, and are more accurately described as books of husbandry. Indeed, even in pre-Islamic times the word filāḥa was extended beyond the core meaning of ‘breaking the earth’ to denote the occupation of farming or husbandry in a much wider sense17. Moreover, it has been argued that the Books of Filāḥa display what we would now call an ecological sensibility18, a holistic approach to farming and a duty of care towards nature that is implicit in the notion of husbandry as the prudent management and conservation of resources. Having said that, in the absence of any single, appropriate word in English that adequately describes the scholars/practitioners/experimentalists/scientists who wrote the Books of Filāḥa, we must continue, reluctantly, to call them agronomists. The Andalusi Books of Filāḥa were not of course written in a cultural vacuum. They were products of the Andalusian Golden Age, the brilliant intellectual and artistic renaissance that began during the era of the Western Umayyad Caliphate (929-1031), whose capital Córdoba was not only the largest and most prosperous city in Europe at the time19 but its intellectual and cultural centre, and continued uninterrupted through the period of the independent Tā’ifa kingdoms during the second half of the 11th century and well into the next under the Berber Almoravids. In the unfettered, cross-disciplinary intellectual spirit of the age, agronomy, as the applied science of husbandry, was pursued in close association with botany, pharmacology and medicine, four branches of knowledge united by a passionate scientific interest in plants. Indeed many of the so-called agronomist authors of the Books of Filāḥa were true polymaths who excelled in several of these fields, and in others outside them: Al-Zahrāwī was a court physician and surgeon, famous later in medieval Europe through his translated work; Ibn Wāfid was also a physician, botanist and noted pharmacologist, equally well-known in Christian Europe; Abū ’l-Khayr, it seems, had an alter-ego in the Anonymous Botanist of Seville who wrote the most important botanical encyclopedia of medieval Islam; Ibn al-Raqqām was a well-known mathematician, astronomer and physician. Not all were scientists: Ibn Ḥajjāj was a wazīr or minister of state and man of letters; Al-Ṭighnarī was an accomplished poet and man of letters who served in the royal court; and Ibn Luyūn was a philosopher, poet, jurist and mathematician. Only two, Ibn Baṣṣāl and the later Ibn al-‘Awwām, seem to have dedicated their lives solely to husbandry, and not surprisingly, they produced the most distinctive and interesting works. Molino Albolafia, Cordoba. 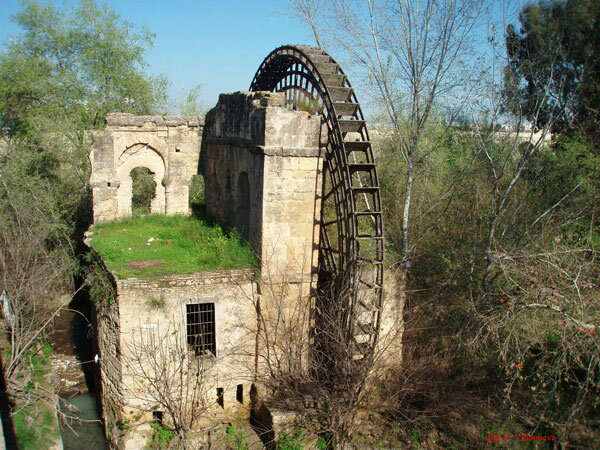 First documented in the 9th C., this oft-reconstructed Moorish water-wheel, powered by the flow of the river, raised water from the Guadalquivir up to the gardens on its banks. 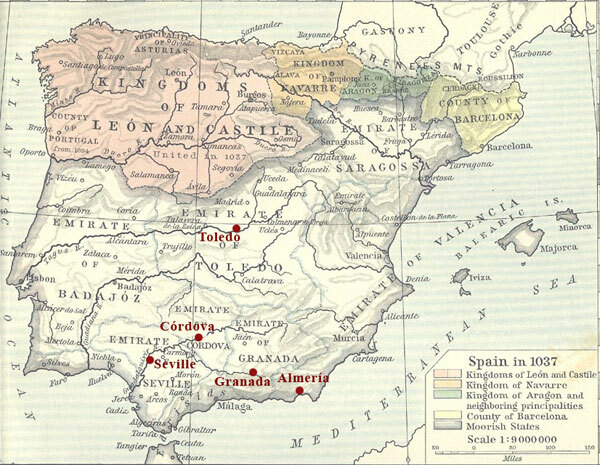 The Andalusi agronomists lived and carried out their work in different parts of Al-Andalus. The initial centre of agronomy was Cordoba, the capital of the Umayyad Caliphate, and the earliest surviving agricultural work is the Kitāb al-anwā’, better known as the ‘Calendar of Cordoba’, compiled by ‘Arīb ibn Sa‘d for the year 961. Belonging to the genre of the Arabic almanac it is neither an agronomical treatise nor a manual of husbandry but nevertheless carries some detailed information on the seasonal round of farming activities and on the introduced crops and other plants grown at the time. The next two agricultural works were also written by Cordovans. The anonymous Kitāb fī tartīb awqāt al-ghirāsa wa ’l-maghrūsāt, ‘Book on the order and times for planting and cultivation’, was probably written by a certain Ibn Abī ’l-Jawwād who lived towards the end of the 10th and beginning of the 11th century in Cordoba. The scope of the Kitāb fī tartīb is much wider than its title suggests and although it has a somewhat limited coverage compared to later works it is the earliest existing Andalusi horticultural manual as such, and treats in some detail the cultivation of tree-crops, garden vegetables and herbs, as well as a range of ornamental plants and flowers then grown in Al-Andalus. The third text, existing in fragments among half a dozen miscellaneous manuscripts, is the Mukhtaṣār kitāb al-filāḥah, the ‘Abridged book of agriculture’, by Abū ’l Qāsim ibn ‘Abbās al-Nahrāwī, who has been identified with the well-known physician and surgeon Abū’l Qāsim al-Zahrāwī of Cordoba, famous in the West as Albucasis, who died between 1009 and 1013. We know little about his book of husbandry since no critical edition or translation has yet been produced. 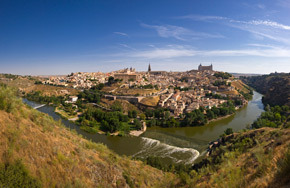 Toledo and the Tagus river. The agronomists Ibn Wāfid and Ibn Baṣṣāl lived and worked here in the 11th C.
With the slow demise of the Cordovan Caliphate in the early decades of the 11th century, the centre of Andalusian agronomy shifted to Toledo in the middle of the Iberian Peninsula, well to the north of Cordoba. Here two of the most important Andalusi agronomists lived and carried out their agricultural work, probably as master and student: Ibn Wāfid and Ibn Baṣṣāl. Abū ’l-Muṭarrif Ibn Wāfid (998/99 or 1007/08-1074/75), better known in medieval Europe as Abenguefith, the author of a very influential materia medica, also wrote an agricultural treatise, the Majmū‘ fī ’l-filāḥa or ‘Compendium of agriculture’, which was widely read and highly regarded, being translated into Castilian during the reign of Alfonso the Wise (r. 1252-1284) and influencing the great Renaissance work of agronomy, the Obra de Agricultura of Gabriel Alonso de Herrera. Ibn Wāfid was responsible for planting the famous garden of the ruler Al-Ma’mūn, the Bustān al-Nā‘ūra or Garden of the Water-Wheel, one of the earliest botanical gardens in Europe, where he propagated exotic plants brought from the Middle and Far East and conducted agricultural and botanical experiments. His manual, though surviving in incomplete form, is practical and thorough, dealing with soils, water, and manures; the staple crops of wheat, barley, vines and olives - from site selection and preparation of the soil to harvesting and storage; the propagation, planting, pruning and care of fruit-trees; and the cultivation of vegetables and herbs. It includes also a section on bee-keeping, pigeon-keeping, and pest management. Muḥammad ibn Baṣṣāl, born in the mid-11th century in Toledo, most probably served his apprenticeship under Ibn Wāfid and later succeeded him as director of the botanical garden of Al-Ma’mūn, to whom he dedicated his great agronomical treatise, the Dīwān al-filāḥa. This was subsequently abridged as the Kitāb al-qaṣd wa’l-bayān, the ‘Book of concision and clarity’, and translated into Castilian at the same time as Ibn Wāfid’s work. We know that at some point Ibn Baṣṣāl made the pilgrimage to the Holy Cities in the Hijaz, apparently travelling as far afield as Yemen, Abyssinia, Syria, Persia, northern India and Khorasan, from where, for example, he is said to have brought back new ideas on the cultivation of cotton. For someone in his profession there can be little doubt that his extended journey after the pilgrimage was indeed a plant-collecting expedition to gather seeds, cuttings and roots of rare, interesting or useful plants to grow on in the royal botanical garden. Prior to the fall of Toledo to the Christians in 1085 Ibn Baṣṣāl moved to Seville where he created a new garden, the Ḥā’īṭ al-Sulṭān or Garden of the Sultan, for the poet-king al-Mu’tamid. Here we know he experimented with the propagation and cultivation of blue lilies, asparagus and jasmine, among others. Ibn Baṣṣāl’s Kitāb al-qaṣd wa’l-bayān is unique among the Andalusi treatises in that it contains no references to earlier agronomists or ancient works and seems to be based exclusively on his personal knowledge and experience. He begins his manual with a discussion and classification of waters, then lands and soils, then manures and fertilizers. The following chapters deal with ploughing and preparing the land for irrigation, trees of all kinds, types of propagation, pruning, grafting, and the cultivation of all manner of crops - legumes, root vegetables, leaf vegetables, cucumbers, melons, spices, and aromatic and scented plants including the rose - mentioning more than 180 different plants in all. He ends his work with an extended discussion on the construction of wells, and the preservation of fruits and nuts. Being a dedicated plantsman Ibn Baṣṣāl does not include anything of animal husbandry in his work and, strangely, the section dealing with the cultivation of cereals, indicated in the preface, is missing from the existing manuscripts. His manual is practical, systematic and clearly didactic, and is organized on a pattern that is more or less followed by later agronomists. Farmland, Seville province, Andalusia. Here Abū’l-Khayr, Ibn Hajjāj and Ibn al-‘Awwām all carried out agricultural experiments. With Ibn Baṣṣāl’s move to Seville the city became the locus of what can only be called an informal ‘school of husbandry’ that operated in “a dense climate of botanical study and experimentation”20, with Ibn Baṣṣāl as the pivotal figure and acknowledged master of a circle of eminent agronomists, botanists and physicians among whom were Ibn Ḥajjāj, Abū’l-Khayr and Al-Ṭighnarī, who were all to write agronomical works over the next few decades. Of Abū ‘Umar Aḥmad ibn Ḥajjāj’s Al-Muqni‘ fī ’l-filāḥa, ‘Sufficiency in farming’, written in 1073, only some extracts on the cultivation of the olive, vine, fig, and several garden and aromatic plants survive, but as the original work was extensively quoted by Ibn al-‘Awwām about a hundred years later, it has been possible to reconstruct a good deal of Ibn Ḥajjāj’s own text. He himself quotes extensively from classical agricultural works, citing a total of 23 authors (not all of them directly), and in this he was much admired by Ibn al-‘Awwām who wrote: “When I come to discuss the cultivation of lands, I always give precedence to the principles established by the shaykh al-khatib Abū ‘Umar Ibn Ḥajjāj in his book, which has as its subject the theories of the ancients”21. While Ibn Ḥajjāj was perhaps the most erudite of the Andalusi agronomists he also possessed considerable practical expertise and we know, for example, that he experimented with olive propagation in the Aljarafe district, an elevated, fertile tableland outside Seville. Abū ’l-Khayr al-Ishbīlī, surnamed Al-Shajjār, ‘the tree-planter’ or ‘the arboriculturist’, was also a native of Seville. Around 1070-75 he authored a treatise on agriculture, the Kitāb al-filāḥa, and later, probably, the most important botanical encyclopedia of medieval Islam, the anonymous ‘Umdat al-ṭabīb fī ma‘rifat al-nabāt li-kull labīb, ‘The Physician’s reliance in the knowledge of plants for every man of understanding’. Autobiographical references in this latter work indicate that he was a disciple of Ibn Baṣṣāl (and the botanist-physician Ibn al-Lūnquh) so he probably worked in the king’s botanical garden in Seville alongside his teacher. Although surviving in incomplete form, Abū ’l-Khayr’s Kitāb al-filāḥa deals with all the main elements and operations of husbandry and the cultivation of a multitude of crops and plants. He is especially esteemed by Ibn al-‘Awwām for his knowledge of soils, irrigation, the construction of wells, and the cultivation of olives. Abū ’l-Khayr often cites his predecessors, especially his master Ibn Baṣṣāl, as well as the ancients, but like his contemporary Ibn Ḥajjāj he also draws on his personal experience, experiments and observations in the gardens, olive groves, and ramblas of Aljarafe. The Vega of Granada today. 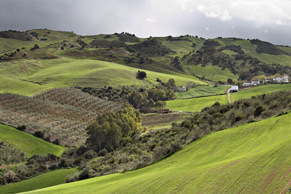 The fertile plain where Al-Tighnari worked in the 12th C., and de Herrera at the end of the 15th C.
The fourth agronomist of the Sevillian school was Abū ‘Abd Allāh Muḥammad al-Murrī al-Ṭighnarī, also known as Al-Ḥājj al-Gharnāṭī, ‘The Pilgrim of Granada’, who wrote an agricultural treatise entitled Kitāb zuhrat al-bustān wa-nuzhat al-adhhān, ‘Book of the glory of the garden and recreation of the mind’, probably in the first decade of the 12th century. Al-Ṭighnarī was originally from Granada and first served in the court of the Zirid prince ‘Abd Allāh ibn Bulughghīn (r. 1073-90), leaving Granada at some point for the ṭā’ifa kingdom of Almería where he conducted various agricultural experiments in the royal gardens of the Al-Ṣumādiḥiya palace. Later, having made the pilgrimage to Makkah and travelled through various parts of North Africa and the East, he returned to Al-Andalus, alternating his residence between Granada and Seville, where he joined Ibn Baṣṣāl’s circle of agronomists and botanists. Al-Ṭighnarī’s Zuhrat emerges as one of the clearest and most systematic of the Andalusi agronomical treatises. In general it follows the form and content of its predecessors but includes valuable linguistic, toponymic, botanical, and medical information, displaying the depth and breadth of his knowledge. In our survey of the Andalusi agronomists so far, two points are especially worthy of note, both concerning the acquisition of knowledge. First, the primacy of direct transmission between them, from master to student, and second, their significant role in establishing and developing various experimental botanical gardens in Al-Andalus, which preceded any others in Europe. The historian Ibn al-Abbār reports that Ibn Wāfid studied medicine under Al-Zahrāwī at Cordoba, although the date of the younger man’s birth, either in 998/99 or 1007/08, and that of the elder’s death between 1009 and 1013 (if correct), make this improbable. However, the connection is intriguing for we now know that Al-Zahrāwī wrote an agronomical work and if Ibn al-Abbār is right and our dates are wrong, there would have been a chain of personal transmission from Al-Zahrāwī to Ibn Wāfid to Ibn Baṣṣāl, and through him to Ibn Ḥajjāj, Abū’l-Khayr and Al-Ṭighnarī. For this reason Al-Zahrāwī is considered by some to be the initiator of Andalusian agronomy.22 In any case, the relationship among the others is secure. 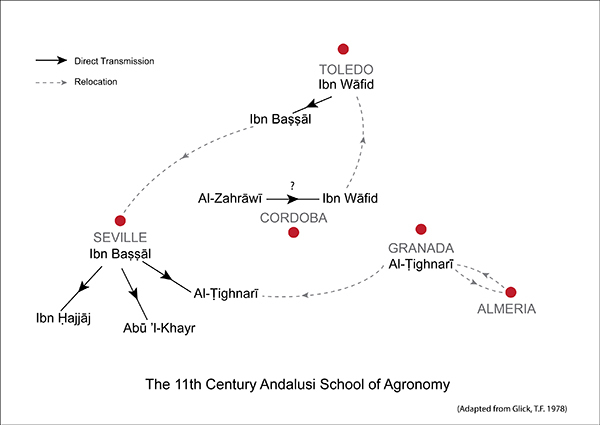 Clearly, the medieval master - apprentice, or teacher - disciple, tutelage system was crucial to the 11th century flowering of agronomy in Al-Andalus, which produced in a span of some forty years, as we have seen, five important agricultural works. The key role played by some of the early Andalusi agronomists in the establishment and development of botanical gardens in Al-Andalus, and thence into Europe, has not been sufficiently recognized. These mostly royal institutions not only held living collections of native and exotic plants, they were centres for the collection, acclimatization, propagation and dissemination of the new crops and species that invigorated the new Islamic agriculture; they were the foci of scientific research and experimentation, especially in the crossing and grafting of new varieties; and they were places of learning where botanists, agronomists and physicians passed on their knowledge. We have seen that Ibn Wāfid was appointed to plant and oversee the royal botanical garden in Toledo where Ibn Baṣṣāl also worked and succeeded him, that Ibn Baṣṣāl then established a botanical garden in Seville where Abū’l-Khayr worked under his tutelage, and that Al-Ṭighnarī conducted various experiments in the royal gardens of the Al-Ṣumādiḥīya palace in Almería. We also know that Ibn Baṣṣāl and Al-Ṭighnarī both went on pilgrimage and travelled extensively in North Africa and the East, no doubt collecting plant material for the botanical gardens. These 11th century botanical gardens were not in fact the first in Al-Andalus. The earliest appears in the 8th century at Ar-Ruṣāfa near Cordoba, the country estate of the first Umayyad ruler, ‘Abd al-Raḥmān I (r. 756-88). From the description left by Al-Maqqarī we are left in no doubt about its nature as a true botanical garden: “One of the great works that ‘Abd al-Raḥmān ibn Mu‘āwiya carried out at the beginning of his rule was the munya of Ar-Ruṣāfa … He built a splendid royal palace, and laid out extensive gardens in which exotic plants and trees from all parts were grown. He ordered the planting of pips and stones from special fruits, as well as rare seeds brought by Jazīd and Safar, his ambassadors to Syria, so that with the benevolence of God and careful cultivation, the surrounding gardens became the home of luxuriant trees producing exotic fruit, which shortly spread to all parts of Al-Andalus, where the supremacy of these fruits over other varieties was soon recognized.”23 Over the following centuries other royal botanical and experimental gardens were established in Al-Andalus (and elsewhere in the Islamicized world), including the three already mentioned in connection with our agronomists, but even these were some two hundred years ahead of the first botanical gardens in Christian Europe, the earliest of which appear to have been those planted by Matthaeus Sylvaticus in Salerno c. 1310 and Gualterus in Venice c. 1330; others, more well-known, were not established till the 16th century - Pisa in 1543, Padua, Parma and Florence in 1545, and Bologna in 1568. After the Sevillian school nearly a hundred years elapsed before the next Andalusi agronomical treatise appeared at the end of the 12th century, the magisterial and encyclopedic Kitāb al-filāḥa of Abū Zakariyā Yaḥyā Ibn al-‘Awwām, about whom we know very little except that he farmed and carried out successful agricultural experiments in the Aljarafe district to the west of Seville (as did his predecessors Abū’l-Khayr and Ibn Hajjāj), where he was probably an aristocratic landowner. His book, however, is the best known of all the Andalusian works. Having been translated first into Spanish by Banqueri in 1802, then into French by Clément-Mullet in 1864-67, it was for a long time the only source on the agriculture of Al-Andalus in any European language. It is also without doubt the most comprehensive agricultural treatise in Arabic. Ibn al-‘Awwām gathers all the knowledge of his time concerning agriculture, horticulture and animal husbandry into a huge compendium of excerpts from all the previous agronomical traditions and treatises. From 112 named authors he includes a staggering one thousand nine hundred direct and indirect citations - about a third from Byzantine sources, a third from Near Eastern sources, mostly from Ibn Waḥshīya, and a third from the earlier Andalusi agronomists24. To these he often adds his own observations and experiences, about which he says: “As for my own contribution, I put forward nothing that I have not first proved by experiment on repeated occasions”. The work deals with all aspects of agronomy and horticulture, mentioning 585 different plants, explaining the cultivation of more than fifty fruit trees, and including many valuable observations on soils, manures, grafting, and plant diseases. The last part of the work is devoted to animal husbandry, with sections on cattle, sheep, goats, camels, horses, mules and donkeys, geese, ducks, chickens, pigeons, peacocks, and beekeeping. Some hundred years after Ibn al-‘Awwām the last two works in the Andalusi agronomical tradition were written. The first, sometime in the early part of the 14th century, was Abū ‘Abd Allāh ibn al-Raqqām’s Kitāb khulāṣat al-ikhtiṣāṣ fī ma‘rifat al-qūwá wa’l-khawāṣṣ, ‘Book of the quintessence of competence in knowing faculties and particulars’, which is really an abridgement of Ibn Waḥshīya’s celebrated al-Filāḥah al-Nabaṭīya or ‘Nabataean agriculture’ (see below), written at the behest of one of the Nasrid emirs of Granada who wanted the latter work purged of all that was pagan in origin. Then in 1348 Abū ‘Uthmān ibn Luyūn from Almería wrote his Kitāb ibdā’ al-malāḥa wa-inhā’ al-rajāḥa fī uṣūl ṣinā‘at al-filāḥa, ‘Book on the principles of beauty and the purpose of learning, concerning the fundamentals of the art of agriculture’, also known simply as Urjūza fī ’l-filāḥa, ‘Poem on agriculture’, composed as a rhyming didactic poem of 1,365 couplets in rajaz metre. Ibn Luyūn himself declares in the first lines of his poem that he wrote it in verse to facilitate the learning of agricultural knowledge. Like his predecessors, heorganizes his work around the main principles of husbandry - land, water, fertilizing agents and agricultural/horticultural skills, operations and techniques, paying particular attention to propagation, grafting, and the layout of gardens. No survey of medieval Arabic agricultural literature would be complete without including the almanac, which if not specifically devoted to agriculture often contains a wealth of information on weather, the seasons and the agricultural cycle, the sowing and harvesting times of crops, animal husbandry, and other matters of concern to the farmer (and to the agricultural historian). The almanac is essentially an annotated calendar, a month-by-month and day-by-day reckoning of changes in the natural world and a guide to the proper times for various agrarian operations and other human activities in accordance with these. Besides agricultural matters the almanac typically records a more or less diverse range of events and occurrences that can include day- and night-lengths, shadow-lengths for particular times of the day, entry of the sun into zodiacal constellations, star risings and settings, lunar phases and mansions, the first day of seasons, the onset and end of winds and rains, changes in temperature, the rise and fall of groundwater and floodwaters (especially of the Nile and the Euphrates), navigational periods, animal migrations and behaviour, the growth, flowering and fruiting of wild plants, historical events, as well as Islamic, Jewish, and Christian holy days. At the end of each month’s listing there is usually a round up of relevant farming activities, including notifications of tax assessments on particular crops, and advice on appropriate dietary regimes, bodily hygiene, health and medical treatments. The history of the Arabic almanac has yet to be written. As a literary and scientific genre it has virtually been ignored by both Arab and Western scholars, and although hundreds of manuscripts exist, perhaps well over a thousand, few have been published and there is still no bibliography of the genre.25 However, it seems likely that almanacs developed from, or alongside, the closely related Books of Azmina, on times and seasons, and the Books of Anwā’, which are lexicographic, astronomical, and meteorological works drawing on traditional pre-Islamic Bedouin star lore - the term anwā’ properly referring to the reckoning system of 13-day periods based on the setting and rising of certain groups of stars which in Arab folk astronomy (that is, practical, applied astronomy as opposed to theoretical astronomy) divided the year and marked times of climatic and atmospheric phenomena, especially rainfall. The subject is complicated by the fact that there is no generic term in Arabic for the almanac as a primarily agricultural calendar, and their authors did not distinguish them from the Books of Azmina and Books of Anwā’, which titles they often used for their works. The word ‘almanac’ - cognates of which are found in all European languages - although ostensibly Arabic, has no known etymon in that language. It is presumed to derive from a supposed Andalusi Arabic al-manākh, from Late Greek almenichiakon, ‘calendar’, possibly from Coptic, but its true origin remains a mystery.26 Like our word ‘almanac’ the so-called Arabic almanacs encompass a spectrum of calendrical works that combine, to a greater or lesser degree, astronomy, agriculture, liturgy, medicine and astrology, from formal astronomical tables on the one hand to forecasts, predictions and the enumeration of favourable and unfavourable days on the other. The agricultural almanacs sit within this range of related material and are rarely found as separate texts, being most often incorporated within works on astronomy, astrology, medicine, lexicography, and agriculture, as well as in general encyclopedias. Their identification as such must remain, at this stage of research, somewhat subjective. While the almanacs may have been inspired by pre-Islamic Arab folk astronomy and weather lore, and surely reflect the indigenous agricultural milieu of where each was compiled, they contain certain astronomical, calendrical and medical concepts that can be traced back to Assyro-Chaldean, Greek, Judaic, Hellenistic, Romano-Byzantine, Coptic, and even perhaps ancient Indian, Egyptian and Babylonian traditions. Underlying all, however, is the fundamental conception of correspondence between the regular movement of the stars, sun, moon, and other heavenly bodies, the unfolding of the seasons, the rains, the growth of plants, the round of farming and pastoral activities, the particular nature - wet or dry, hot or cold - of each food, the four bodily humours, and health. Not only agriculture, but all human affairs and activities, including diet, sexual activity, bathing, exercise, travel and medical treatment have their times and seasons in accordance with the natural cycle. As Ibn al-‘Awwām remarks in the introduction to his farming calendar: “One of the most wonderful things in the ordering of time and the seasons is that each activity is ordained to be done at its proper time, such that when it is done at another the result is never as favourable.”27 The Arabic almanacs present, in a nut-shell, a very ancient, perhaps universal, belief in the necessary order and harmony between the microcosm of man and the macrocosm of nature. Rice fields at Calasparra, Murcia. Considered to be the very best rice in Spain, Calasparra rice is cultivated using an irrigation system inherited from the Moors. No Arabic almanacs are known from before the 9th century, though they doubtless existed, and the earliest extant work of this nature is probably the Kitāb al-azmina, ‘Book of times’, of Ibn Māsawayh (Mésué), a Nestorian physician of Baghdad who died in 857. Another early surviving almanac of great agricultural interest is from Al-Andalus, the already-mentioned Kitāb al-anwā’, better known as the Calendar of Cordoba, compiled for the year 961 by ‘Arīb ibn Sa‘d, physician, poet, man of letters and chronicler, as well as secretary of the royal chancellery under the Umayyad caliph Al-Hakam II. In fact the Calendar of Cordoba is really a hybrid, comprising ‘Arīb ibn Sa‘d’s Kitāb al-anwā’ and the Christian liturgical calendar of Rabī‘ ibn Zaīd, also known as Racemundo, the bishop of Elvira (Granada) at that time. As well as detailing the seasonal round of farming and horticultural activities it is one of the most important sources for establishing the introduction of certain crops into Al-Andalus by the Arabs, among which are mentioned the grapefruit or citron (uttrunj or uttruj), rice (arūz), aubergine (badinjān), sugar cane (qaṣab al-sukkar), cotton (al-quṭun), banana (al-mawz), watermelon (dullā‘), and a type of cucumber called qiṭṭā al-shāmī. The almanac tradition in Al-Andalus continued with the early 11th century Kitab al-anwā' wa ’l-azmina of Abu Bakr ibn ‘Aṣim, a lexicographical work that includes an almanac with agricultural notices, and later in the century, the agricultural calendar appended to Ibn Wāfid’s Majmū‘ fī ’l-filāḥa, which is one of the few Andalusi books of Filāḥa to contain such a calendar. The anonymous Andalusi almanac of the early 13th century entitled the Risāla fī awqāt al-sana, ‘Epistle on the seasons of the year’, contains notices on the times and methods of cultivation and matters of animal husbandry but also many fanciful prognostications based on natural phenomena such as thunder and earthquakes, typifying a superstitious tendency in some later almanacs. Although, as we have seen, one of the earliest extant almanacs, and certainly the best known, was compiled for Cordoba, the almanac tradition was more prolific, probably more deep-rooted, in other parts of the medieval Arabic-speaking world, especially in Egypt and Yemen. While there was a remarkable flowering of Arabic agricultural works in medieval Al-Andalus they were neither the first nor the last. The earliest were in fact translations of Byzantine and ancient Near-Eastern works and though they were immensely influential and contributed much to Islamic agronomy, as shown later, they were not indigenously Arab. Other Arabic works pertaining to agriculture were indeed written in various parts of the Islamic world, as we would expect, especially in Egypt, Yemen and Syria but we know much less about them. They tend to be later than the Andalusi Books of Filāḥa, more sporadic, certainly less numerous, and few are what we would call manuals of husbandry or agronomical treatises. In view of the fact that the Nile Valley and Delta nurtured one of the earliest ‘hydraulic civilizations’, based on irrigation agriculture and the flooding of the Nile, and Egyptian farmers preserved and practised this expertise for millennia through the Pharaonic, Roman, Byzantine, and Islamic eras to achieve a model of sustainable agricultural production, it is somewhat surprising that only three agricultural works are known from medieval Egypt. In late-12th century Ayyubid Cairo, As‘ad ibn Mammātī (1149-1209), head of all the Dīwāns under both Saladin (r. 1169-93) and his son Al-‘Azīz (r. 1193-98) and a noted historian, poet, and prolific writer, compiled the Kitāb qawānīn al-dawāwīn, ‘Statutes of the councils of state’, an administrative history and survey of Egypt during his tenure of office. It was the first and most complete medieval cadastre of agricultural lands in Egypt, classifying them according to fertility, irrigation, products, seasons, horticulture and so forth, and included a description of the agricultural year in the form of an almanac, which survives in two versions, a long and a short. Although by no means a manual or treatise on filāḥa, the Kitāb qawānīn nevertheless contains rare and important information on agricultural and irrigation systems in Ayyubid Egypt. In late-13th century Mamluk Egypt, Muḥammad al-Waṭwāṭ, a wealthy Cairene bookseller, wrote his Mabāhij al-fikar wa manāhij al-‘ibar, an encyclopedia of natural sciences and geography, whose fourth section, entitled ‘Al‑Fann al‑rābi‘ fī ’l-filāḥa’, deals with agriculture and cultivated plants. A third agricultural treatise from Egypt was Al-Filāḥa al-muntakhaba, ‘Selected agriculture’, or Kitāb al-filāḥa al-muntijah, ‘Book of fruitful agriculture’, written by Ṭaybughā al-Tamār-Tamurī, a Burjī Mamluk of Circassian origin who died in 1395. We know little about him except that he spoke the language of the wealthy landowner and knew both Egypt and Syria. His work, which includes a Coptic agricultural almanac, seems to draw heavily on Ibn Waḥshīya’s ‘Nabataean agriculture’, as well as Al-Filāḥa al-Rūmīya, ‘Byzantine agriculture’, although the author also wrote from personal experience and observation. During the course of this month cotton and safflower are sown. Watchers are placed on the riverbanks. Summer vegetables are sown. Beans and lentils reach maturity. Flax is uprooted. Sugar cane is sown in fertile ground that has lain fallow for some time. Cattle that were sent to pasture in Ṭūbeh (early January) are bought and sold. The collection of natron begins and is transported from Wadi Hubayb to the depot at Aṭ-Ṭarrāna. Wind from the north. It is the beginning of the sowing season for sesame, melons, cucumbers, watermelon, haricots, aubergines and colocasia. Green chickpeas reach maturity, trees flower, and some set their fruits. Late vines are pruned. Alexandrian senna is also sown. Grass is abundant. Wild jujubes, almonds, apples and apricots reach maturity. Trees are fully leaved. Vines are planted. Outside Al-Andalus, the richest corpus of agricultural texts comes from the Yemen. 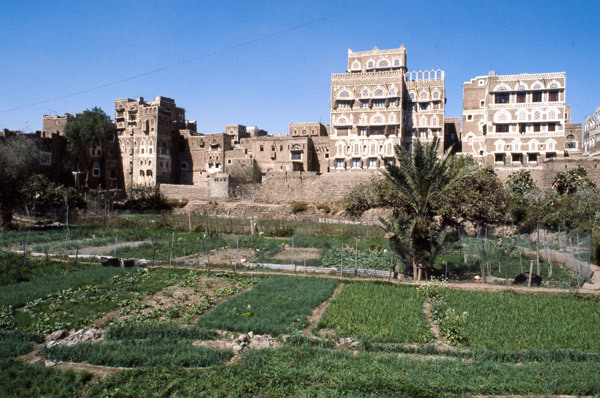 Home to one of the oldest terrace-farming systems in the world and an equally ancient and sophisticated irrigation technology, Yemen was the birthplace of Arab agriculture and was known in Islamic times as Al-Yaman al-Khaḍrā’, ‘the Verdant Yemen’, on account of its fertility. Situated at the pivotal point of Indian Ocean and Red Sea shipping and trade it was from earliest times in contact with Egypt, East Africa, Persia, India and beyond, and became a centre for the diffusion of new crops, plants, and techniques into the Near-East and Mediterranean worlds. 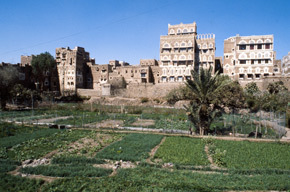 Yemeni agriculture, and agricultural literature, flourished in late medieval times, especially during the Rasulid era from the 13th to 15th centuries. The Rasulid sultans were enthusiastic patrons of the arts and sciences, and several of them were accomplished scholars in astronomy, astrology, botany, medicine, veterinary science and agriculture. Three sultans wrote agricultural treatises on farming practices in various parts of the Yemen, as well as other agricultural works and almanacs, and some carried out horticultural experiments - on roses and grape vines for example - in their royal gardens. Probably hundreds of almanacs and small treatises exist on agriculture in the Yemen, though only a handful has come to light. The study of the Rasulid agricultural texts and traditional husbandry in Yemen has been the life work of Daniel Varisco (see main bibliography), and what follows is based largely on his published research. The earliest Rasulid agricultural treatise, the Milḥ al-malāḥa fī ma‘rifat al-filāḥa, ‘Beautiful words on the knowledge of husbandry’, was written by Al-Malik al-Ashraf, the third Rasulid sultan of Yemen who ruled for a brief 21 months in 1295-96 after the long reign of his father. His text contains seven chapters dealing with (1) Times for Cultivation, Planting and Preparing Land; (2) Grains; (3) Legumes (qaṭānī); (4) Fruit Trees; (5) Flowering and Aromatic Plants; (6) Vegetables; and (7) Agricultural Pests. Much of his material is specific to the Yemen. Al-Malik al-Ashraf also compiled the earliest extant Yemeni almanac, written for c. AH 670/AD 1271, which is contained within his astronomical treatise entitled Kitāb al-tabṣira fī‘ilm al-nujūm. It is also the most detailed of the Yemeni almanacs. Together, Al-Malik al-Ashraf’s Milḥ al-malāḥa and almanac furnish a detailed and comprehensive account of the science and practice of agriculture in Yemen during the latter half of the 13th century, preserving and transmitting the “wise practice of knowledgeable Yemenis”, in the words of the author. There are no references to other texts or citations from earlier authorities, suggesting that Al-Ashraf did indeed gather information from local informants, though no doubt he had access to some written texts from outside Yemen. Some hundred years later, the sixth Rasulid sultan Al-Malik al-Afḍal (d. 1376) wrote his Bughyat al-fallāḥin fī al-ashjār al-muthmira wa-al-rayāḥīn, ‘The farmers’ object of desire in regard to fruit-bearing trees and aromatic plants’, a major medieval text on agriculture with extensive quotes from the 6th century Al-Filāḥa al-Rūmīya of Cassianus Bassus, the early 10th century ‘Book of Nabataean agriculture’ of Ibn Waḥshīya, and from the Andalusi agronomist Ibn Baṣṣāl. In addition, the author cites from the texts of his Rasulid predecessors Al-Malik al-Ashraf and Al-Malik al-Mujāhid (d. 1362) whose Al-Ishāra fī al-‘imara, ‘Instruction on [managing] the estate’, no longer exists. The chapters comprise: (1) Types of Land and their Quality; (2) Fertilizers and Manures; (3) Water; (4) Selection and Clearing of Land for Cultivation; (5) Agricultural Seasons and Activities, including a partial almanac for the winter months; (6) Grains; (7) Legumes (qatānī); (8) Vegetables (buqūl and khadrāwāt); (9) Spices and Herbs; (10) Flowering and Aromatic Plants; (11) Fruit Trees; (12) Pruning of Trees; (13) Grafting of Trees; (14) Properties of Various Plants; (15) Major uses of Plants; and (16) Medicinal Plants. Al-Malik al-Afḍal also wrote a short but highly informative royal crop register for the year AH 773/AD 1371-2, the Faṣl fī ma‘rifat al-matānim wa-al-asiqā (?) fī al-Yaman al-maḥrūsa, ‘Section on the knowledge of planting times and tax assessments (?) in the protected realm of Yemen’, which provides an agricultural gazetteer for most of the coastal region or Tihāma, and the southern highlands, and the dates for planting a long list of crops, flowers and aromatic plants throughout Yemen. Although both Rasulid authors cover the field of agriculture and horticulture, neither include anything of animal husbandry or veterinary practice in their works, although Al-Malik al-Ashraf did write a separate veterinary treatise, Al-Mughnī fī al-bayṭara, ‘The Enricher in veterinary science’, which also deals with fodder crops, especially sorghum. At least eight extant Rasulid almanacs provide details of the agricultural cycle in Yemen. Apart from those of Al-Malik al-Ashraf for c. AH 670/AD 1271 and Al-Malik al-Afḍal for c. AD 1370, already noted, the most interesting from our point of view are (1) Jadwal al-yawāqīt fī ma’rifat al-mawāqīt, ‘The stream of precious stones in knowing the appointed times’, written c.1300 by Muḥammad al-Ṭabarī, also known as Abū al-‘Uqūl, court astronomer of Al-Malik al-Mu’ayyad; (2) the anonymous 14th century Fusūl majmū‘a fī al-anwā’ wa-al-zurū‘ wa-al-ḥiṣād, ‘Collected materials on the anwā’ stars, planting and harvesting’, which owes much to the earlier almanac of Al-Malik al-Ashraf; and (3) the anonymous Al-Anwā’ wa-al-tawqī’āt…’, an agricultural almanac for AH 808/AD 1405-6. Although most of the Rasulid almanacs draw on previous texts (as did later Yemeni almanacs, for the tradition continues up to the present – see the 18th C. almanac of Yūsuf al-Maḥallī), they often add new information, and each is unique to its time. Together they provide a series of time-lapse snapshots of medieval Yemeni husbandry, a record seldom found elsewhere in the Arab world. Moreover, as Varisco has shown, these agricultural treatises and almanacs are part of a living tradition that can still be observed in the country today, in the accumulated knowledge and time-honoured practices of Yemeni farmers. After Al-Andalus, Egypt and the Yemen, a final late flowering of Arabic agricultural literature grew from the soil of Al-Sham or Syria. In the late-13th/early-14th century Shams al-Dīn al-Dimashqī (1256/7–1327), shaykh and imām at al-Rabwa, a locality near Damascus, and best known as the author of the encyclopedic Nukhbat al-dahr fī ʿajā’ib al-barr wa-al-baḥr, ‘Time’s choice wonders on land and sea’, a large geographical work that included cosmography and astronomy, wrote the Ad-Durr al-multaqaṭ min ‘ilm filāhatay ar-Rūm wa n-Nabaṭ, ‘Pearls gleaned from the science of the two agricultures of the Byzantines and the Nabataeans’. From its title it would seem to be an abridgement of two ancient texts, the 6th/7th century Al-Filāḥa ar-Rūmīya, ‘Byzantine agriculture’, of Cassianus Bassus, and the early 10th century ‘Nabataean agriculture’ of Ibn Waḥshīya. A little later in the 14th century an anonymous Syrian wrote a work entitled Miftāḥ al-rāḥah li-ahl al-filāḥa, ‘Key of comfort for the people of agriculture’, quoting liberally from Ibn Waḥshīya and apparently using a complete work of the Andalusi agronomist Ibn Baṣṣāl as one of his sources. His 31 quotations from Ibn Baṣṣāl are often more extensive and clearer than those in the summarized version of Ibn Baṣṣāl that has survived.29 However, the anonymous author may well be Al-Dimashqī himself, as comparison between the Miftāḥ al-rāḥah and Al-Dimashqī’s Ad-Durr al-multaqiṭ reveals certain similarities, such as the same system for classifying plants. Both books seem to rely exclusively on borrowings, quotations, and summaries of other works, lacking any individual contributions based on personal experience. Damascus rose-buds, al-Mrah, Syria. 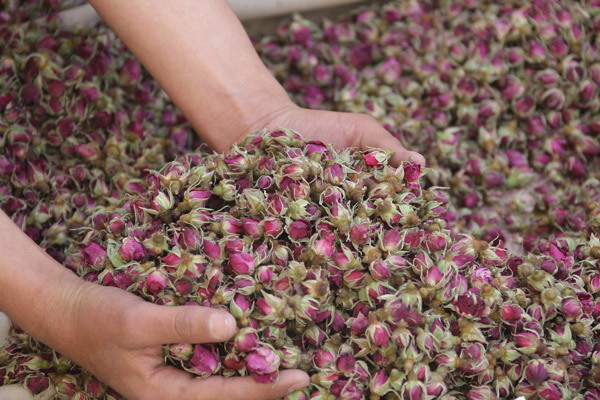 The village is famous for the cultivation of the Damask rose, used in cosmetics, medicaments, and food products, especially rose water and the popular local rose syrup. An important late Syrian agricultural work is that of Rāḍī al-Dīn al-Ghazzī al-‘Āmirī of Damascus (1457/58-1528/29), scholar and judge, who visited the Hijaz, Palestine and Egypt to observe their agricultural and horticultural practices and compare them with those pertaining in Syria, subsequently writing his Jāmi‘ farā’id al milāḥa fī jawāmi‘ fawā’id al-filāḥa, ‘Complete guidelines for elegance in all the uses of agriculture’. The work covers all aspects of agriculture and horticulture, excluding animal husbandry, and seems to be based on first-hand knowledge as well as extensive use of the Andalusi Books of Filāḥa although, for Zuhayr al-Bābā, it is “deeper, more comprehensive and closer to modern scientific agronomic works than those that emerged in Al-Andalus.”30 According to Hamarneh, Al-Ghazzī “achieved the highest rank attainable in good farming and horticulture in the entire region during the late Mamluk and early Ottoman periods in Islam.”31 Certainly Al-Ghazzī was much admired in his own land, for no less than three explanations or summaries of his treatise were written in the late-17th and 18th centuries, two of which echo, in part, the title of his work. The first was the Kitāb ʿalam al-malāḥa fī ‘ilm al-filāḥa, ‘Book of the mark of elegance in the science of agriculture’, by ‘Abd al-Ghanī al-Nābulusī (1641-1731), mystic, theologian, poet, traveller, prolific writer on a variety of subjects and a leading figure in the religious and literary life of Syria in his time. Then followed the Risālat al‑bayān wa-al‑ṣarāḥa bi-talkhīṣ kitāb al-malāḥa fī ʿilm al-filāḥa, ‘Explanation and summary of the book of elegance in the science of agriculture’, by Muḥammad ibn ʿĪsá ibn Kannān (1663/4-1740/1) of Damascus, and finally the ʿUmdat al‑ṣināʿa fī ʿilm al‑zirāʿah, ‘The reliance of skill in the knowledge of agriculture’, of ‘Abd al‑Qādir al-Khalāṣī (d. 1785/6?). No critical editions or comparative studies of these late Syrian Ottoman works seem to have been published so we don’t know how closely they follow and summarize Al-Ghazzī, or whether they include different or new information. Finally, we should mention the few extant works of agricultural interest that we know from other parts of the Arabic-speaking world. In late-13th or early-14th century Maghreb the famous mathematician and astronomer Aḥmad ibn Muḥammad ibn al-Bannā’ of Marrakesh (1256-1321) wrote, among his hundred works, the Kitāb al-anwā’, an almanac in the anwā’ tradition. In it he quotes mainly from ʿArīb ibn Saʿd’s Calendar of Cordoba but refers also to Al-Khaṭīb al-Umawī (11th century), ʿAbd Allāh ibn Ḥusayn ibn ʿĀṣim (12th century), Ibn al-ʿAwwām’s Kitāb al-filāḥa and a Kitāb an-nabāṭ, possibly that of Abū Ḥanīfah al-Dīnawārī.32 While Ibn al-Bannā’s work is principally an astronomical calendar it includes the usual agricultural notices and advice for each month, making it one of the very few sources we have on medieval agriculture in the Maghreb and North Africa outside Egypt. In the 17th century, two agricultural works, entitled Falāḥ al-fallāḥ, ‘Success of the farmer’, and al-Fuṣūl al-sanīya fī al-filāḥa al-Madanīya, ‘Sublime chapters on the agriculture of Madinah’, were written by the Madinan historian and scholar Muḥammad Kibrīt al-Ḥusaynī, who died about AH 1070/AD 1659/60. The Falāḥ al-fallāḥ consists of fifteen chapters, four of which are, unusually, devoted to water, wells and cisterns, the rest to the weather, soils, the cultivation of trees, crops and vegetables, and pest management. The Fuṣūl al-sanīya is mainly a list of plants, vegetables and fruits, their times of planting, properties if eaten or used in other ways, the optimum conditions and methods of planting, and the different varieties of particular species. Late as they are, these two works furnish important information on agriculture in the Hijaz at this time. A little later, another work, also called Falāḥ al-fallāḥ, ‘Success of the farmer’, is attributed to Khayr al-Dīn ibn Ilyās (1675/6-1715), imām and khaṭīb of the Prophet’s mosque in Madinah, but it is not clear whether this is the same work as Kibrīt’s, or an adaptation or summary of it. This concludes our survey of the Arabic Books of Filāḥa and agricultural calendars. As we have seen, they were authored mainly in Al-Andalus, Egypt, Yemen and Syria, more or less in that sequence. It is striking that no works seem to have been written for other important agricultural regions in the Arabic-speaking Islamic world, especially Iraq (except perhaps the early-10th century ‘Book of Nabataean agriculture’, of which more later), Oman, the Maghreb, and Sicily. However, while there can be little doubt that hundreds of unknown manuscripts still exist, especially among private collections, it is unlikely that any surviving major work on Arabic agriculture remains to be discovered. As we have seen, a crucial factor in the formation of the Sevillian school of agronomists was the acquisition of knowledge (and no doubt skills) by direct transmission from master to disciple, and among and between the loose circle of scientists and physicians who gathered in that cultural capital in the second half of the 11th century. Many of the Andalusi agronomists (and later Yemeni authors too) also acquired knowledge from local farmers, as well as from their own practical experience and experimentation in the botanical gardens, estates, farms and countryside of their homelands. Being learned men, the authors of the Books of Filāḥa and later Arabic works and almanacs also drew from a large corpus of agricultural literature that reached back to ancient times, from many different traditions, citing directly and indirectly from a multitude of earlier works. Whilst they acknowledged their debt to the ‘ancient sages’, and greatly admired them, they also refuted them when their own experience proved otherwise or when they simply thought they were wrong. In this respect the development of agronomy as a discipline was no different from that of any other branch of learning. Earlier texts were synthesized and systematized through a process of translation, commentary, critique and comparison and then tested against current practice, personal experience and experimentation. These ancient works provided, in large part, the theoretical framework of the humoural system by which the new agriculture was explained and organized as a formal science of agronomy, as well as describing the old cultural methods and techniques of practical husbandry by which the Arabs could measure their own. From a scholarly point of view, the chain of citations and inter-citations within the Books of Filāḥa provide a valuable and fascinating insight into the history of ideas and the transmission of knowledge. Two of the above works were especially esteemed by the Arab agronomists, the first being Al-Filāḥa al-Rūmīya, ‘Byzantine agriculture’ (or Al-Filāḥa al-Yūnānīya al-Rūmīya, ‘Greek-Byzantine agriculture’), written by Qusṭūs ibn Askūrāskīnah (from the Greek title skholastikós), also called Qusṭūs al-Rūmī, who is probably the Cassianus Bassus Scholasticus to whom agronomic works collected from Greek and Latin authors are attributed and who is said to have lived at the end of the 6th or beginning of the 7th century. Unfortunately, next to nothing is known about Cassianus Bassus, whose work is no longer extant in the Greek original nor in Syriac translation, but has survived in two Arabic translations, one made from the Greek in AH 212/AD 827 and the other made from a Pahlavi translation, the Warz-nāmeh, and also as part of the 10th century Byzantine compilation, the Geoponica, that also includes the works of Anatolios and a certain Didymos as well as fragments of Democritos.36 Judging from the number of extant manuscripts and frequent citations the Filāḥa al-Rūmīya was an influential work. It is arranged in 12 parts, focusing on the months, their names, the seasons, constellations, animal husbandry, dendrology and arboriculture. Cassianus Bassus seems to draw mainly on his personal experience, then on named and unnamed earlier and contemporary Greek and Byzantine authors, on whose views he sometimes takes a critical stance, and lastly on the opinions of his contemporaries, especially farmers whom he knew. The second is the controversial and enigmatic Kitāb al-filāḥa al-Nabatīya, ‘Book of Nabataean agriculture’, certainly the most widely used source in the Andalusi Books of Filāḥa and the Rasulid Yemeni and Syrian texts, known also to Maimonides and Thomas Aquinas in the wider medieval world, and the subject of intense debate among 19th and 20th century scholars. That the ‘Nabataean agriculture’ was immensely popular and influential is borne out by the large number of extant early as well as late manuscripts (at least forty are known),37 and the existence of many abridgements and summaries over the years. As we have seen, Ibn al-Raqqām’s early-14th century Andalusi agricultural treatise is an expurgated version of the ‘Nabataean agriculture’, while the Egyptian Al-Tamār-Tamurī’s Al-Falāḥa al-muntakhaba and the Syrian Dimashqī’s ‘Pearls gleaned from the science of agriculture of the Byzantines and the Nabataeans’ seem to be largely based on it too. The Filāḥa al-Nabatīya is thought to have been translated by Ibn Waḥshīya in AH 291/AD 904 from ‘Old Syriac’ manuscripts of around the 5th century AD, with additional material from contemporary Aramaic-speaking informants. It appears to reflect the agricultural milieu of the non-Arab, indigenous, pagan, rural population of northern and central Iraq (the ‘Nabataeans’) around the time of the Muslim conquest, but includes material from the Greek Geoponica and perhaps ancient Babylonian and Assyrian sources. Ibn Waḥshīya’s purpose, it seems, was to preserve the traditional knowledge and beliefs of the Mesopotamian peasant in the face of rapid Arabization, Islamization and urbanization.38 The Filāḥa al-Nabatīya is a vast, rambling work of more than one hundred and fifty chapters of varying lengths, combining practical agriculture with a large dose of astrology, magic, folklore, myth, and story. 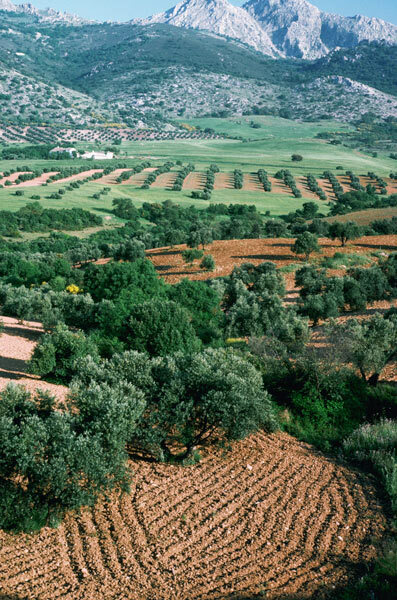 After an introduction on his sources and the correspondence between plants and the heavenly bodies, Ibn Waḥshīya begins with olive cultivation and attributes of the olive, then deals with water, well construction, and irrigation techniques. There follows a section on all kinds of plants, trees, and especially flowers such as narcissi, water lilies, violets, and so on, together with curious information and superstitions about them. The next section deals with estate management and the duties of estate owners, managers, and workers, including knowledge of the signs of rain, the proper seeds for each time of year, an almanac arranged according to the Syriac months, harmful and beneficial influences of winds, the stars, and different types of soil and manures. Then follow chapters on the cereals, such as wheat and barley, culminating in the making of flour and bread. Thereafter the text discusses legumes such as broad beans and lupins, as well as onions, together with all sorts of historical and mythological details. The work concludes with seven fairly long chapters on fruits and herbs and what may be made with them, as well as the causes of differences in taste, colour, and smell among various plants, and the changes they undergo. In all, over one hundred and fifty cultivated and wild plants are described in detail. 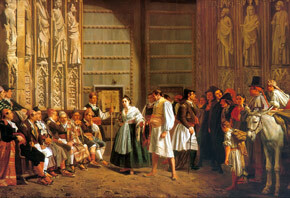 The Tribunal of the Waters of the Vega of Valencia in 1885 (painted by Bernardo Ferrándiz Bádenes), and today. Probably the oldest extant democratic institution in Europe, the Tribunal of the Waters is thought to have originated in the 10th century under the caliph Abd al-Rahman III. 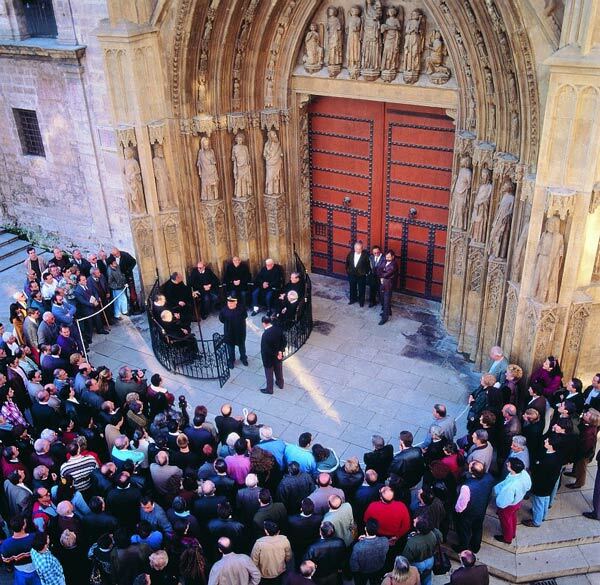 Each Thursday, the court, elected from among the irrigators themselves, meets outside the Door of the Apostles of the Cathedral of Valencia (the site of the old mosque) to settle disputes and discuss matters concerning irrigation in the Vega. Islamic agriculture transformed the medieval Middle Eastern, North African and western Mediterranean lands and islands. Its legacy can be seen today in the landscapes, gardens, crops, botanical diversity, and, especially, the systems, terminology and institutions relating to irrigation (such as the celebrated Water Tribunals of Murcia and Valencia), found across the Mediterranean world and transferred by Spanish colonists to parts of South and Central America, the south-western United States, and even the Philippines. What is not so clear is the role of the Andalusi Books of Filāḥa in this process and their wider influence on European farming in general. Did the Books of Filāḥa play a formative role in the Islamic agricultural revolution, or did they simply reflect, rationalize and systematize what was already happening on the ground? Who were they written for and what was their purpose? The question of readership is problematic, and we must be wary of over-generalization, for though they are markedly similar in many respects these works are not all the same and were written at different times, over a considerable period. The answer may lie in their composite nature as part instructional manual, part scientific treatise and part theoretical discourse, combining practical husbandry and household economy with agronomy and botanical science based on prevailing humoural theory. As didactic works it seems most unlikely that the Books of Filāḥa served as manuals for the ordinary farmer, not only because of the limited number of copies that could have been made in a hand-written age but because many of the cultural techniques they describe in meticulous detail must already have been part-and-parcel of the tacit traditional knowledge held by peasant farmers and smallholders everywhere - as Ibn Baṣṣāl points out, after his description of various land types: “Of course, this is all well-known except to the most ignorant labourer”. Moreover, given that the Books of Filāḥa were probably held in royal and private libraries, accessible to only a few, it is difficult to believe that they were written with the small farmer in mind. It seems much more likely that they (and the almanacs too) were composed for the benefit of royal patrons, high officials, dignitaries and gentleman-farmers who were the educated and enthusiastic owners of new estates and gardens, keen to experiment with new crops and cultivars. Certainly many of the Books of Filāḥa pay close attention to the preparation and levelling of new fields, the excavation of wells, and the reclamation of marginal lands, suggesting that they were written with new land-owners in mind. Their influence among the wider farming community is difficult to assess, but it is likely that any new or alternative cultural methods they presented, especially concerning new crops, would have been quickly disseminated by word of mouth and by emulation, from botanical gardens and royal estates to neighbouring farms and market-gardens. Of one thing we can be fairly certain: the late appearance of these works from the 11th century onwards seems to preclude any pioneering role in the new agriculture, which began at least two centuries earlier. As scientists and practitioners, the authors of the Books of Filāḥa may have been experts in the field, perfecting techniques and advancing the cause, but it seems they followed in the wake of the agricultural revolution rather than leading it. Yet in their painstaking instructions on the cultivation of many new crops that were perhaps not widely known or grown at the time, they surely contributed to its development. From another perspective, as scientific treatises the Books of Filāḥa mirrored the works of other sciences at the time, especially botany, chemistry and pharmacology, in endeavouring to present a more systematic, empirical, and objective approach to agriculture and horticulture, based on close observation, repeated experiment, and explanatory theory. In this role they seem to be directed more towards the scientific and intellectual community, advancing agronomy as a proper field of formal, scientific endeavour, and a subject worthy of study. If the Books of Filāḥa played only a subsidiary role in the agrarian revolution they nevertheless introduced Islamic agriculture, or rather that part of it preserved and codified in literary form, to the wider European world. This knowledge passed into Christian Spain via a number of translations, especially the 13th century Castilian translations of Ibn Wāfid and Ibn Baṣṣāl during the reign of Alfonso the Wise. Ibn Wāfid’s treatise, in particular, inspired and informed Gabriel Alonso de Herrera’s Obra de Agricultura, ‘Work on agriculture’, first published in 1513. Herrera, the father of modern-day Spanish agriculture, was in Granada by 1492 where for at least 10 years he studied agriculture by observing the last of the Moorish farmers and reading the translated Arabic Books of Filāha while working on several huertos or market-gardens.39 Hieronymus Münzer, a traveller from Nuremberg who visited the Iberian peninsula between 1494 and 1495, described the recently conquered Kingdom of Granada at Herrera’s time and wrote admiringly of the agriculture of the Moors, especially the excellence of their cultivation techniques, their irrigation methods, and the wide diversity of cultivated species and varieties, organized into irrigated gardens within a notably tree-covered landscape.40 As the most knowledgeable agronomist of his time, Herrera was approached by Fray Francisco Ximénez de Cisneros, the Archbishop of Toledo and Grand Inquisitor, to write an agricultural instruction manual to help improve farming in Spain, which was deteriorating rapidly with the expulsion of Moors from the Peninsula. Ironically, it was Cisneros who ordered the burning of all Arabic manuscripts in Granada, including, probably, agricultural works, and who was instrumental in forcing many Moors from the land. Herrera’s Obra de Agricultura was immediately popular, and since its first publication there have been eleven editions under this title and six editions in Italian translation. In turn, Herrera’s manual influenced the agriculturalists Henri Louis Olivier in France and Conrad Heresbach in Germany and there is evidence that it was known too in what is now the south-western part of the United States, influencing the mixed farming tradition of Indo-Hispanic farmers, which shows marked Arab influence, especially in matters of irrigation.41 Although Ibn Wāfid is the only Andalusi agronomist cited in the Obra de Agricultura, as one among many other sources, the work is nevertheless imbued with the principles of Moorish agriculture, absorbed no doubt during Herrera’s early farming education among the Muslims of Granada. The end of Islamic civilization in Al-Andalus marked the beginning of agricultural decline in Spain. In the late 16th century, Philip II’s secretary Francisco Idiaquez, recognizing the superior farming skills of the Moriscos, descendants of the Muslims, lamented: “There is no corner or plot of land that should not have been turned over to the Moriscos, for they alone were capable of bringing about fertility and abundance in all the land and because they alone knew how to cultivate it so well.”42 But it was not until the 18th century that the lost knowledge contained in the Arabic Books of Filāha was rediscovered. Pedro Rodriguez Compomanes (1723-1802), economic reformer under the Spanish king Charles III and one of the main political figures of the Spanish Enlightenment, in his efforts to reinvigorate Spanish agriculture arranged for the translation of Chapters XVII and XIX of Ibn Al-‘Awwām’s Kitāb al-filāḥa, on land preparation and seed selection, and had them incorporated into the first Spanish translation of the 1760 agricultural treatise of the French agronomist Duhamel de Monceau.43 Then in 1802 Josef Antonio Banqueri translated the complete work of Ibn Al-‘Awwām into modern Spanish, along with the Arabic text, making it the first of the books of Arabic husbandry to be published and made available to the wider European world. The historical value of the Arabic Books of Filāḥa, almanacs, and other agricultural works is considerable. They not only document the minutiae of Islamic agriculture and the medieval agricultural revolution but as a corpus they provide a longue durée view of pre-modern agricultural knowledge and practice across a wide area of the Middle East and the Mediterranean world - from Al-Andalus, Egypt, Yemen and Syria (and Iraq if we include the ‘Nabataean agriculture’), from the 10th century through to the eve of the modern. From another perspective, as we have seen, they provide a detailed map for tracking the transmission of knowledge from ancient times and from a multitude of diverse sources. In addition, as an ethnographic resource they can serve to illuminate existing traditional farming practice in various parts of the region, as Daniel Varisco has shown for the Yemen. More important, in our view, is the relevance of the Books of Filāḥa to food production and farming today, and to future sustainable agriculture. Mustafa Al-Shihabi in his article on Filāḥa in the prestigious Encyclopaedia of Islam asserts that: “All the early Arabic (or other) works on agriculture, being based on observation alone, are only of historical and terminological value. It was only in the 19th century that, in Egypt, there appeared the first Arabic agricultural work based on modern science.”44 This, however, is to deny the perennial knowledge contained in the Books of Filāḥa - the accumulated knowledge of centuries - as if it had somehow been rendered redundant and worthless by modern scientific agriculture. Equally mistaken is the view that the so-called Arab agronomists were the enlightened, though primitive, precursors of today’s agro-scientists, and that modern agriculture, like modern science, is in debt to the Arabs. Nothing could be further from the truth in both cases, for what the authors of the Books of Filāḥa expound and document in great detail is none other than a holistic system of potentially sustainable organic husbandry in marked contrast to the prevailing, and clearly unsustainable, model of industrialized agribusiness, based on high chemical inputs and high carbon outputs, monoculture, mechanization, and the maximization of short-term profit, which is the product and goal of ‘advanced’ agro-science. Islamic husbandry and modern agriculture lie at opposite ends of the ecological and sustainability spectrum. The system described by the Andalusi agronomists has much in common with the various methods of alternative farming practised today under such names as sustainable agriculture, organic farming, permaculture, biodynamic farming, holistic agriculture, low-input farming, ecological farming, and regenerative agriculture, which all have sustainability as their ultimate goal: the ability to farm productively in perpetuity, without depletion of natural resources or harm to the environment and without compromising the needs of future generations. In this light, we should approach the Books of Filāḥa not simply as valuable historical sources but as beacons of good practice that present a viable model for the future of farming. This view is of course debatable and demands scrutiny, explanation and evidence. Very few scholars have considered as a whole the system of husbandry presented in the Books of Filāḥa, and much work remains to be done.45 However, the case as it stands is convincing. Here we can do no more than introduce the rationale behind this conception and touch on one or two aspects. Although in their details the Arabic agricultural books relate to a broadly Mediterranean and Middle Eastern environment their underlying principles and key practices are universal and applicable to all times and places, and while these fundamentals are not articulated and explained in the current language of ecological or biological science, they are nevertheless clearly recognizable. Foremost among these is the principle of return or regeneration, of completing the natural cycle that is inevitably disrupted by growing and harvesting food from the land. The authors of the Books of Filāḥa, drawing on the wisdom of ages, are well aware of the danger inherent in all forms of agriculture - that of depleting the very resource on which it depends, the fertility of the soil itself. Organic matter, plant nutrients, minerals and trace elements removed from the soil in the form of crops must be returned or replaced. The cycle of regeneration that maintains nature in a state of dynamic equilibrium, the so-called balance of nature, must be protected to ensure continuity and productivity. All the Andalusi agronomists, to a greater or lesser degree, approach agriculture as the art of balancing four basic ‘elements’ - soil, water, air, and manure/compost, corresponding to earth, water, air and fire in the humoural system. These four elements are always in dynamic relationship, so that a change in one affects all the others. Great emphasis is placed on the soil or the land, and this is usually treated first in the Books of Filāḥa, before all other matters. As Ibn al-‘Awwām makes clear: “The first consideration in farming is knowledge of the land/soil … and whoever does not have this understanding lacks the basic principles, and in relation to farming deserves to be treated as ignorant.”46 In their meticulous attention to soils the Andalusi agronomists are at their most original. At least thirty different types of soil47 are distinguished and categorized according to their various qualities, including fertility, organic matter, acidity, structure, depth, permeability and water retention, these being ascertained in the field by their texture, colour, taste, smell, soil fauna and, especially, by their natural vegetation and characteristic indicator plants. The type and quality of the soil determines how it should be prepared and cultivated, how it may be ameliorated, what should or can be grown, and how it should be irrigated and manured, depending on the crop to be grown. The best soil is “that which most closely resembles well-rotted manure, friable … fresh and moist”,48 that is, one composed mainly of decayed organic matter, full of ‘nutritious juices’, an expression which seems to refer to what is now known as humus, the dark, highly-complex, colloidal, jelly-like substance that even today is often described as the ‘life-force’ of soil. All lands and soil types, even inferior saline, sandy and acidic soils, are potentially useful and all can be brought to life and improved by various means - by the application of special composts, neutralizing earths, and marl, by proper drainage, by prudent tillage, and by the growing of certain pioneer species. Ibn al-‘Awwām, for example, notes that repeated sowings of beet on saline land will reduce, then eliminate, all salinity from the soil, leaving it in fine condition, free from all defects.49 Thus it was not only the best but also the worst lands that were brought into cultivation. In the Andalusi system the key to good husbandry seems to lie in the painstaking preparation and improvement of the land. This is what could be called ‘soil first’ farming, in contrast to much modern agriculture that treats soil as little more than an inert substrate for delivering industrially produced chemicals. 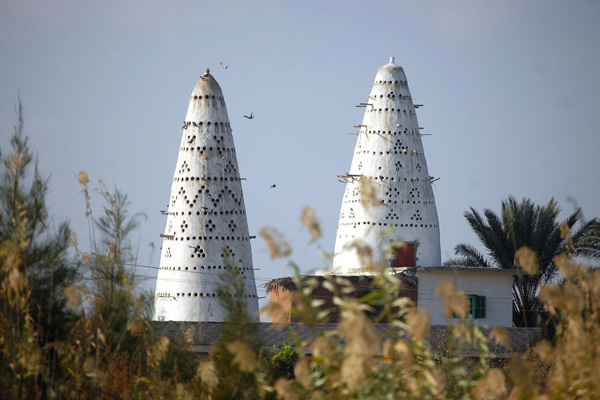 Pigeon towers near Gizah, Egypt. Central to the process of soil-building and amelioration is the return of organic matter to the land, for ‘the plant nourishes the plant’, either directly or indirectly, and the Books of Filāḥa devote much attention to the preparation and application of all types of special manures, composts, soil conditioners, mulches and dressings, each tailored to the soil and the crop to be grown. These include the full range of animal dung and bird droppings (except that from pigs, being ‘noxious’, and ducks, being too wet), desiccated and pulverized human waste, all manner of plant material such as stems, leaves, roots, weeds, trimmings, straw and spent fruits, stable litter, ash from the hammām, refuse and road sweepings, and silt dredged from wells and canals. Nothing is wasted, even the urine of farm-workers being utilized. The best manures are those from horses, donkeys, humans and, above all, pigeons and doves, raised in purpose-built pigeon-towers. These various manures and plant materials are usually carefully measured, combined and thoroughly composted for several years before being applied judiciously at the appropriate time. For Gabriel de Herrera, it was this art of composting and manuring the land which enabled the Moors of the Vega of Grenada to obtain harvest after harvest, continuously and without interruption.50 The Arab agronomists also recommend the growing of leguminous, nitrogen-fixing green manures such as vetch, clover, lupins and fenugreek to be dug or ploughed in to replace lost nitrogen, and the use of deep-rooting plants such as alfalfa to draw up minerals from the sub-soil. In the absence of sufficient supplies of compost and manures, and in certain other circumstances, the age-old practice of resting the land or fallowing is employed. Irrigation activates manures (as well as adding fertile silt if derived from flood-waters) and ploughing allows air to enter the soil, aiding decomposition and encouraging plant growth. The return of organic matter to the land to restore lost fertility lies at the heart of traditional Islamic husbandry and today’s organic farming alike, whereas modern scientific agriculture has more or less dispensed with it altogether, delivering plant nutrients and minerals by artificial fertilizers alone. As in most other agricultural systems, crop rotation plays an essential role in Andalusian husbandry in order to avoid the build-up of pathogens and pests and the depletion of soil nutrients that may occur when one species is grown continuously on the same piece of land. Wheat and barley, in particular, should not be grown in succession for, as Ibn al-‘Awwām makes clear, “these two cereals exhaust the soil when they are grown constantly and without interruption”.51 Not only must they be alternated but should be preceded (and often followed) by plants which restore to the soil its ‘nutritive vigour’, above all by the nitrogen-fixing legumes, especially haricots, lentils, lupins, vetches, broad beans and chick peas. Although of course the Andalusi agronomists knew nothing of the nitrogen-fixing symbiotic bacteria in the root nodules of leguminous plants, they knew that “land that has grown legumes is found to be in a superior condition to all others52”. Consequently, legumes of all types and in all their varieties are treated in great detail in the Books of Filāḥa. Not only were they an integral part of the farming system on account of their fertilizing qualities but as protein-rich pulses they were also important in the dietary regime of medieval Spain, for both people and livestock. Another principle that emerges clearly from the Books of Filāḥa is that of diversity. A very large number of crops and plant species were cultivated, to be eaten or otherwise utilized, including many that have since fallen out of general use or been marginalized in southern Europe such as rocket, purslane, sorrel, dandelion, alexanders, scorzonera or black salsify, spotted golden thistle, milk thistle, comfrey, Spanish salsify, vetches, cow-peas, spelt, pearl millet, sorghum, lotus tree, service tree or sorb, azarole, and the hackberry or nettle tree.53 It is worth recalling that Ibn al-Awwam mentions 585 different crops and plants. This great diversity not only provided a very varied and balanced diet for both humans and livestock, and supplied most of the medicines and many raw materials for clothing and industrial processes, but also ensured food security throughout the year by spreading risk in times of unseasonal weather and other unforeseen events, when at least some crops would be likely to succeed. It also enabled an almost infinite combination of ingenious crop rotations, inter-cropping, mixed cropping, companion planting, and multi-storey cropping (tree crops under-planted with perennials or annuals), employing a sophisticated understanding of plant associations, the sympathies and antipathies among species, and of the different uptake of minerals among different species. Importantly, such practices also avoided the build-up of crop-specific soil pests and diseases. Diversity was also enhanced by the careful selection and breeding of a multitude of cultivars, often specific to a particular locality and adapted to the local soil, environmental and climatic conditions. 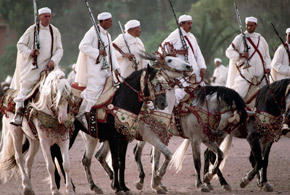 The Barb or Berber horse of North Africa, a light riding horse with great stamina, which played a major role in the breeding of the celebrated Andalusian horse. As an integral part of a mixed-farming system, livestock both large and small provided all-important manure, being kept as stall-fed animals or folded on fields of lucerne, Alexandrian clover and field peas, or grazed on permanent meadows and pastures. The Andalusi agronomists instruct on the care and breeding of cattle, sheep, goats, camels, horses, mules, donkeys and dogs, as well as pigeons, geese, ducks, chickens, partridge, peacocks and bees. Among the animals the horse is given pride of place, and among the birds, pigeons and doves, which produced eggs, meat for the pot and highly-prized guano. 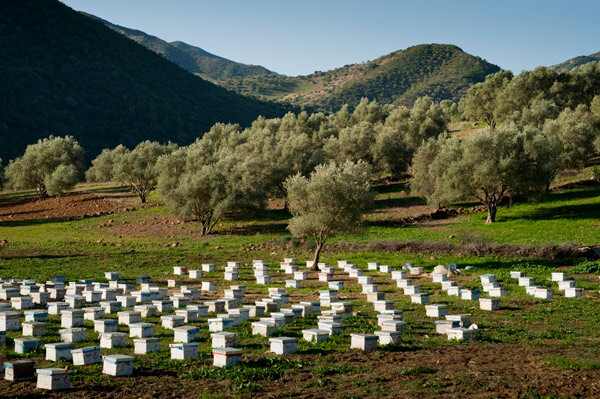 Close attention is given to the keeping of bees which provided not only honey but ensured the successful pollination of fruit and field crops. It hardly needs saying that such purposeful diversity and complexity is poles apart from the extreme specialization and simplified monoculture of much modern agriculture. As a final point of interest, the Andalusi agronomists have much to say concerning plant pests and diseases. First, Abū ’l-Khayr tells us that “the cause of a great number of diseases and maladies which affect plants lies in the four elements - soil, water, air and manure”.54 In other words, crop problems are most often due to a deficiency or excess in one or more of these elements, setting up an imbalance that leads to disease or pest infestation. By inference, a correct balance among the four elements produces healthy plants less susceptible to disease and insect attack. This is exactly the approach taken by today’s organic farmers and gardeners - most diseases and pests are the consequence of poor or incorrect growing conditions and can be minimized by attending to these rather than resorting to chemical pesticides or fungicides. Other preventative measures, as we have seen, included crop rotation, mixed cropping, and companion planting. In the event of diseased or ailing plants, the Andalusi agronomists recommend treating like with like. In the same way that ‘the plant nourishes the plant’, so also ‘the plant heals the plant’. Decoctions, fumigants, sprays, plasters and top dressings, often incorporating leaves or other plant parts from healthy specimens of the same species, are employed. Against insect pests, ants, locusts, and vermin that damage stored grain, hay, seeds and fruits, the Books of Filāḥa provide the recipes for a battery of natural poisons, pesticides, and repellents made of toxic, bitter, or purgative plants such as wild cucumber, colocynth, black hellebore and henbane - and for extra insurance, a good many magical talismans. This survey, the first to encompass all of the known medieval Arabic Books of Filāḥa and other agricultural works, reveals a substantial body of literature that describes a pre-industrial system of husbandry that was, by all accounts, immensely successful. The brief foray above into some of the principles and practices of Islamic husbandry as applied in Al-Andalus shows that it was an intensive, organic, mixed-farming system that supported a large population and flourishing civilization for some four hundred years (and up to seven hundred years in the case of Granada) without the aid of agrochemicals or any of the so-called advances of modern scientific agriculture (and, we might add, with very low carbon emissions). For this reason, above all, the Books of Filāḥa deserve our great admiration and merit closer attention. 1 Wilkinson, T.J. (1999). 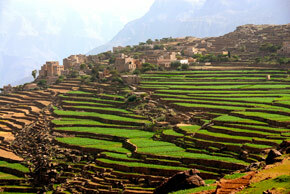 ‘Settlement, soil erosion and terraced agriculture in highland Yemen: a preliminary statement’. In: Proceedings of the Seminar for Arabian Studies vol. 29, pp. 183-191. 2 Mentioned by the late 3th C. BC Euhemerus, 1st C. BC Diodorus Siculus, and early 1st C. AD Strabo. 3 More specifically, in Al Ain, now within the United Arab Emirates. See Al-Tikriti, W.Y. (2002). ‘The south-east Arabian origin of the falaj system’. In: Proceedings of the Seminar for Arabian Studies vol. 32, pp. 117 - 138. 4 Watson, A.M. (1983). Agricultural innovation in the early Islamic World. London-New York: Cambridge University Press, Foreword. 5 Artz, Frederick B. (1980). The Mind of the Middle Ages. The University of Chicago Press. 3rd edition revised, p. 150. 6 Glick, T.F. (1978). Islamic and Christian Spain in the Early Middle Ages. New-Jersey: Princeton University Press, p. 78. 7 Watson, A.M. (1974). ‘The Arab Agricultural Revolution and Its Diffusion, 700 - 1100’. The Journal of Economic History 34 (1), pp. 8 - 35. 8 Burke, E. (June 2009). ‘Islam at the Center: Technological Complexes and the Roots of Modernity’. Journal of World History, 20 (2): 165 - 186 . 9 Watson, A.M. (1983). Agricultural innovation in the early Islamic World. London-New York: Cambridge University Press. 10 Ibid. p. 1, and p. 149, note 2. 11 Varisco, D.M. (1997). 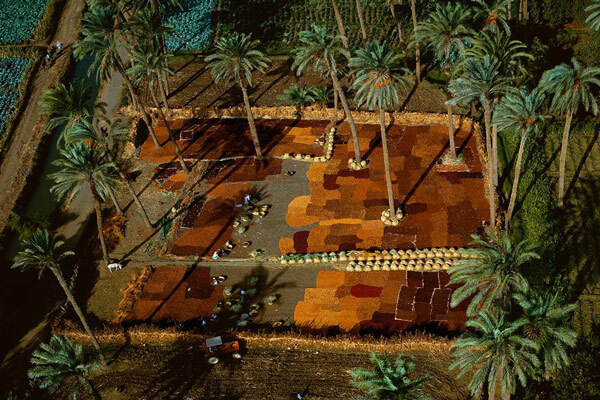 ‘The Production of Sorghum (Dhurah) in Highland Yemen’. In: Medieval Folk Astronomy and Agriculture in Arabia and the Yemen. Aldershot: Variorum, p. 73-80. 12 Watson, op. cit., pp. 123-24. 13 Watson, op. cit., p. 116. 14 Scott, S.P. (1904). History of the Moorish Empire in Europe. London: J.B. Lippincott Company, vol. 3, p. 598. 15 Chalmeta, P. (1992). ‘An Approximate Picture of the Economy of al-Andalus’. In: The Legacy of Muslim Spain, Vol. 2. Ed. Jayyusi, S.K. Leiden: E. J. Brill, p. 755. 16 Hernández Bermejo, J.E. and J. León (eds.). 1994. ‘Neglected Crops: 1492 from a Different Perspective’. Plant Production and Protection Series No. 26. Rome: FAO, pp. 303-332. 17 Introduction to the article on Filāḥa (1999). Encyclopaedia of Islam CD-ROM Edition v. 1.0. Leiden: Brill. 18 See especially the works of Lucie Bolens, e.g. Les méthodes culturales au moyen âge d’après les traités d’agronomie andalous: Traditions et techniques. Geneva, 1974, p. 20; and ‘Agriculture in the Islamic World’. In : Encyclopedia of the History of Science, Technology and Medicine in Non-Western Cultures. Helaine Selin (ed). Kluwer, 1997, pp. 20-22. 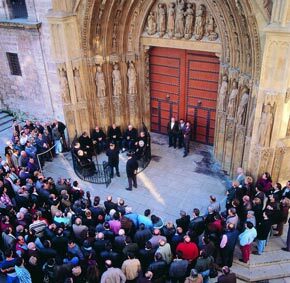 19 Estimates for early 10th century Cordoba vary between 500,000 and one million people. See Watson, A.M. (1983). Agricultural innovation in the early Islamic World. London-New York: Cambridge University Press p. 134. 20 T.F. Glick (1978). Islamic and Christian Spain in the Early Middle Ages, p. 256, quoting Millás Vallicrosa, ‘Sobre la obra de agriculture de Ibn Bassâl’, pp. 132-133, and Ciencia geopónica, pp. 41-42. 21 Ibn al-‘Awwām (1866). Kitāb al-Filāḥa, Le Livre de l'agriculture. Translated into French by Clément- Mullet. Paris: Librairie Orientale et Americaine, Vol. I, p. 9. 22 Vernet, J. and Samsó, J. (1981). ‘Panorama de la ciencia andalusí en el siglo XI’. In: Actas de las Jornadas de Cultura Arabe e Islámica (1978). Madrid: Instituto Hispano-Arabe de Cultura, 1981, pp. 135-163. 23 Al-Maqqarī (1968). Nafḥ al-ṭīb min ghu ṣn al-Andalus al-ratīb, 8 vols. Iḥsān ‘Abbās (ed.). Beyrut. Vol. 1, pp. 466-467. 24 Glick, T.F. (2005). ‘Agronomy’. In: Medieval Science, Technology, and Medicine: an Encyclopedia. Glick, T. F., Livesey, S. J. & Wallis, F. (eds.). Routledge, pp. 12-13. 25 Varisco, D.M. (1994). Medieval Agriculture and Islamic Science: The Almanac of a Yemeni Sultan. University of Washington Press, p. 7. Varisco is working on a history of the Arab almanac. 26 Oxford English Dictionary Online (2000. OED Online). 27 Ibn al-‘Awwām (1866). Le Livre de l’Agriculture, Clément-Mullet, Vol. II, pp. 415-16. 28 Translated from Pellat, C. (1986). Cinq calendriers égyptiens. Cairo: IFAO, pp. 57-8. 29 Carabaza, J.M. and García, E. (1998). ‘Códices Misceláneos de Agronomía Andalusí’. Al-Qantara 19. p. 396. 30 Zuhayr al-Bābā (1990). ‘ʿIlm al-filāḥah fī bilād al-Shām’. Majallat al-turāth al-ʿarabī, No. 37-38. Dimashq, no page numbers. 31 Hamarneh, S.K. (1978). ‘Medicinal plants, therapy and ecology in Al-Ghazzi’s book on agriculture’. Studies in the History of Medicine, 2, pp. 223 - 263. 32 Rénaud, H.P.J. (ed.) (1948). Le Calendrier d'Ibn al‐Bannâ de Marrakech (1256 - 1321 J. C.). Paris: Larose. 33 Guzmán Álvarez, J.R. (2005). ‘El compendio de agricultura atribuido a Ibn Wāfid/al-Nahrāwī: nuevas perspectivas sobre su autoría’. Anaquel de Estudios Árabes, vol. 16, p. 88. 35 Glick, T.F. (2005). ‘Agronomy’. In: Medieval Science, Technology, and Medicine: an Encyclopedia. Glick, T. F., Livesey, S. J. & Wallis, F. (eds.). Routledge, p. 13. 36 Sezgin, Fuat. (1967-). Geschichte des arabischen Schrifttums. Leiden: Brill. Vol. IV, pp. 310, 317. 37 Ṣālihīyya, M.I. (1984). ‘Mulāḥazāt ‘alā Makhṭūṭāt al-Filāḥa: al-Taṭbīqīya al-Maḥfūza fī ‘l-Maktabāt al-‘Arabīya wa’l-Ajnabīya’. Majallāt Mujma‘ al-Lugha al-‘Arabīya. Damascus, 59 : 3, p. 573, lists some thirty manuscripts. 38 Cahen, C. (1971). ‘Notes pour une histoire de l’agriculture dans les pays musulmans médiévaux: Coup d’oeil sur la littérature agronomique musulmane hors d’Espagne’. Journal of the Economic and Social History of the Orient 14, pp. 64-5. 39 Herrera, Gabriel Alonso de. (2006). 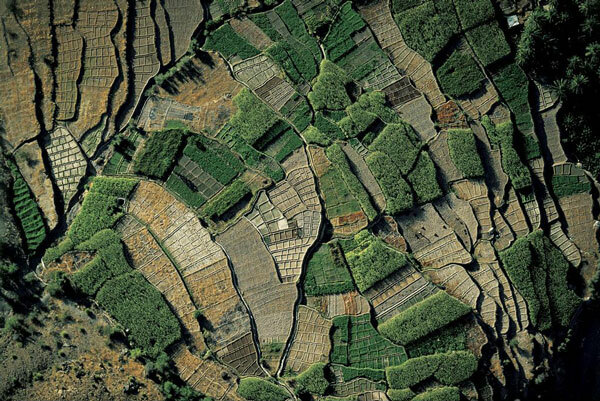 Ancient Agriculture : Roots and Application of Sustainable Farming. Compiled by Estevan Arellano, J. Layton, Utah : Ancient City Press, pp. 12-13. 40 Hernández Bermejo, J.E. and J. León (eds.). ‘Neglected Crops: 1492 from a Different Perspective’. Plant Production and Protection Series No. 26. Rome: FAO, 1994. pp. 303-332. 41 Herrera, Gabriel Alonso de. op. cit. pp. 16-21. 42 Maceira, A.G. (1876). Apuntes y noticias sobre la agricultura de los árabes españoles. Zamora, p. 10-11, quoted in Ruggles, D. Fairchild (2000). Gardens, Landscape and Vision in the Palaces of Islamic Spain. Pennsylvania, p.31. 43 Ibn al-‘Awwām, (1802). Kitāb al-Filāḥa. Edited with Spanish translation by J.A. Banqueri. Madrid: Imprenta Real. Vol. I, p. 41. 44 Mustafa Al-Shihabi, ‘Filāḥa’, Encyclopedia of Islam, CD-ROM Edition v. 1.0, Koninklijke Brill NV, Leiden, 1999. 45 See in particular the works of Lucie Bolens. 46 Ibn al-‘Awwām (1866). Le Livre de l’Agriculture, Clément-Mullet, Vol. I, p. 23. 47 Bolens, L. (1981). Agronomes andalous du Moyen-Age. Geneva and Paris: Droz, pp. 66-69. 48 Ibn al-‘Awwām (1866). Clément-Mullet, Op. cit., Vol I, p. 24. 49 Ibn al-‘Awwām, Clément-Mullet. Op. cit., Vol. II, p. 168. 50 Herrera, III, Book 4, Ch. 5. p. 25, in Bolens, L. Agronomes andalous du Moyen-Age. Op. cit., p. 202. 51 Ibn al-‘Awwām, Clément-Mullet. Op. cit., Vol. II, XVIII, p.13. 52 Ibn al-‘Awwām, Clément-Mullet. Op. cit. Vol. II, XVIII, p.14. 53 Hernández Bermejo, J.E. and León, J., eds.(1994). ‘Neglected Crops: 1492 from a Different Perspective’. Plant Production and Protection Series No. 26. Rome: FAO, pp. 303-332. 54 Abū’l-Khayr, ms. 4764 B.N. Paris folio 85, v. ll. 16-17, in Bolens, L. Agronomes andalous du Moyen-Age. Op. cit., p. 239.